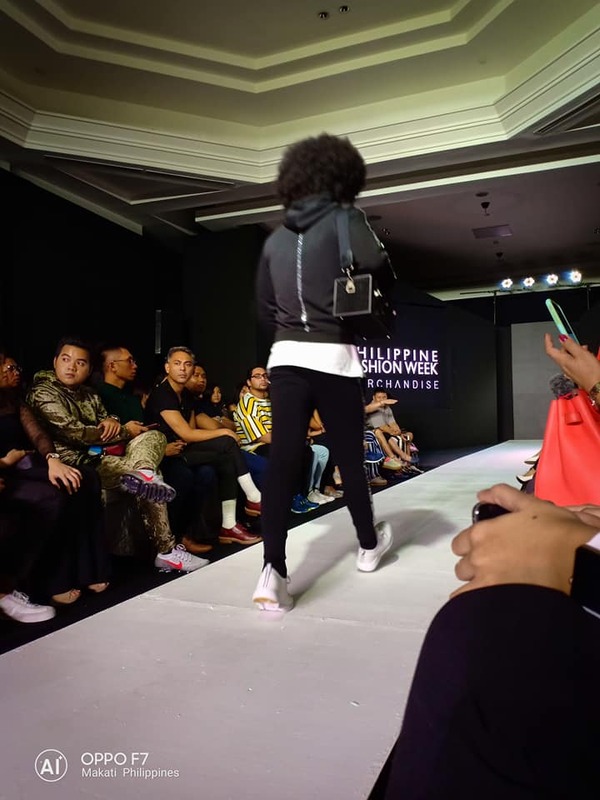 I had so much fun during the Philippine Fashion Week Holiday 2018 second day. Unfortunately I wasn't able to cover the shows on the first day because of life. 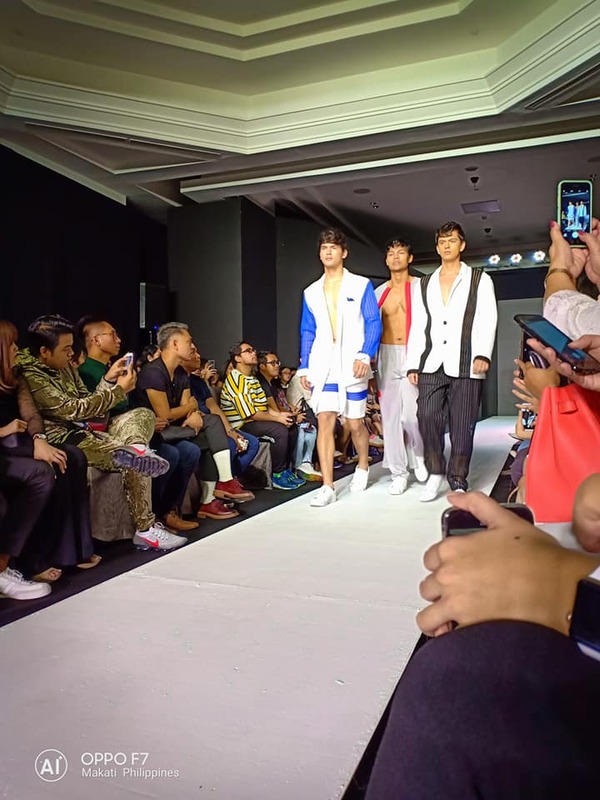 The show which happened at 3:30PM Manila time was just something that I was looking forward to see and I was so happy I got the tickets online (very last minute) and I felt I had to shoot again no matter what it takes. 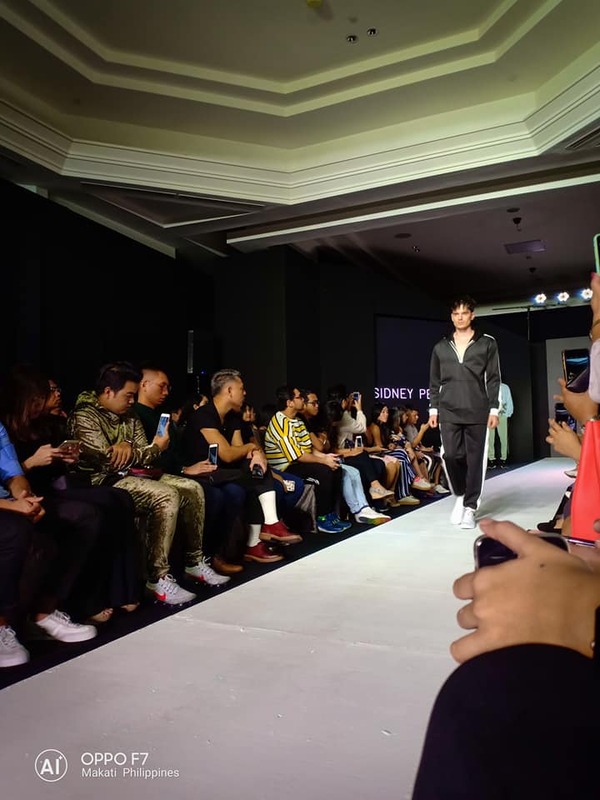 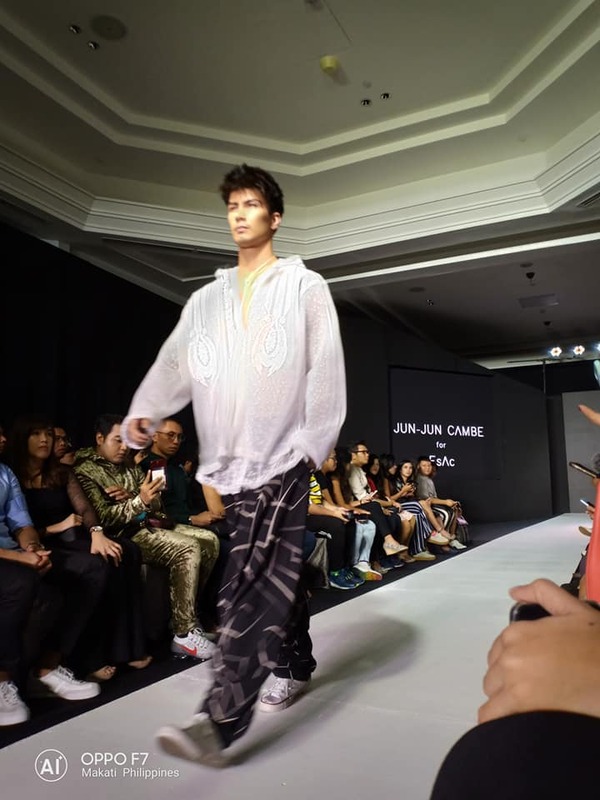 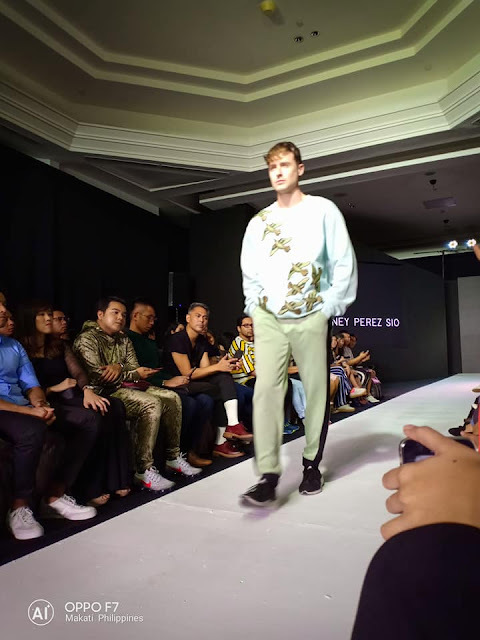 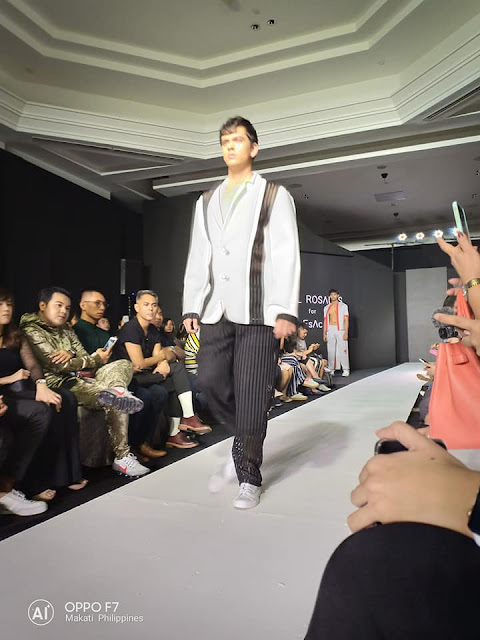 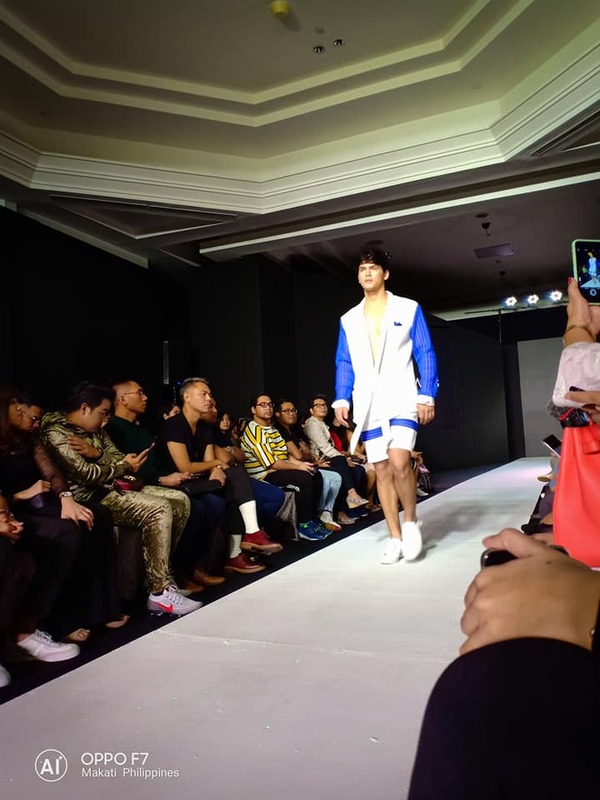 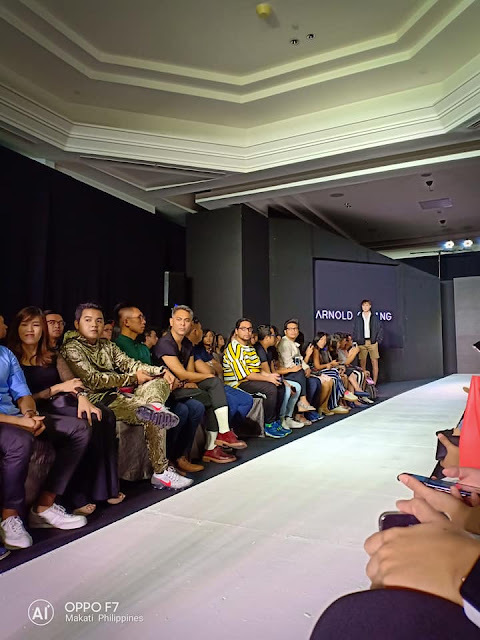 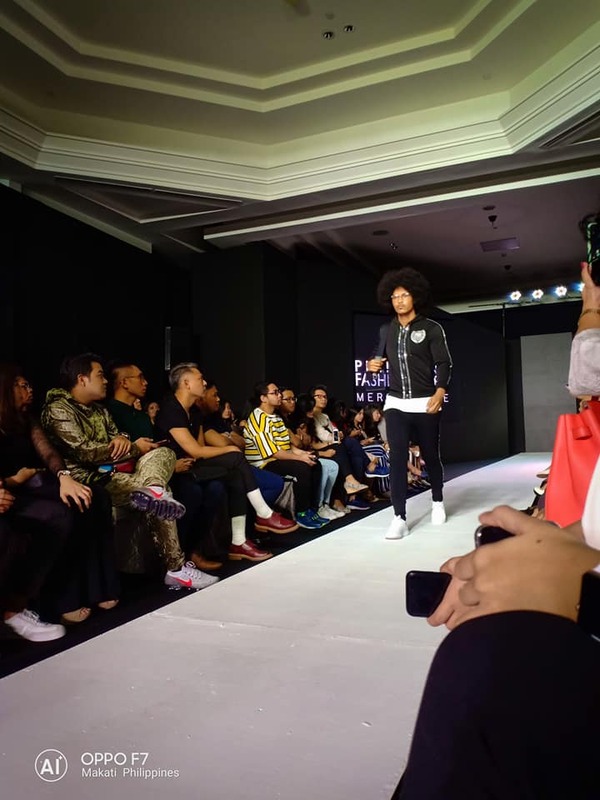 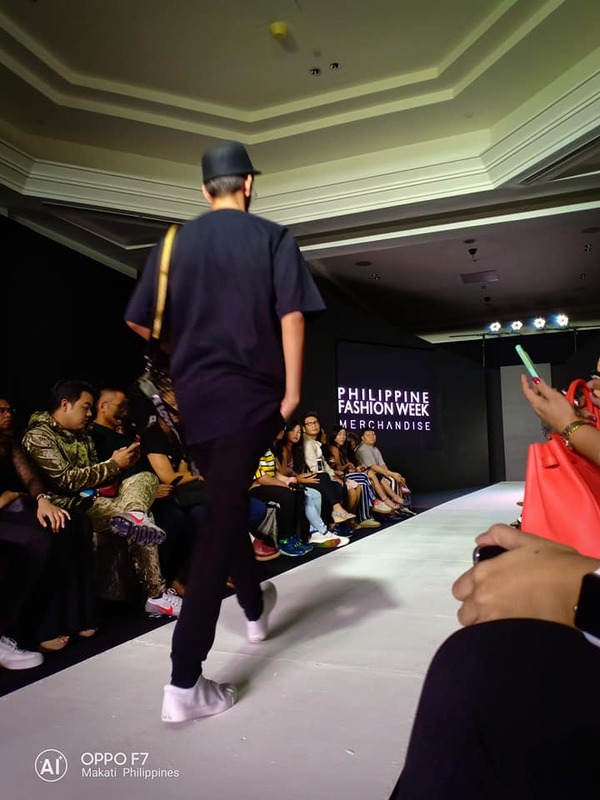 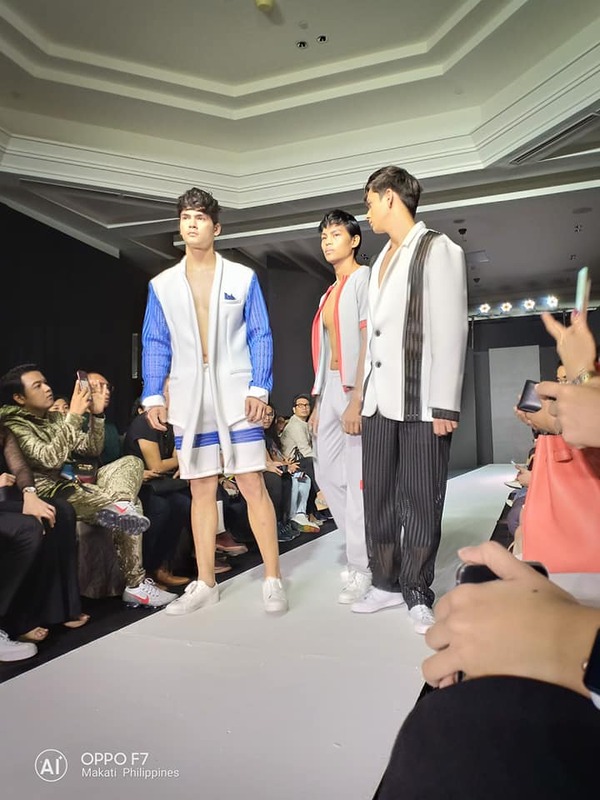 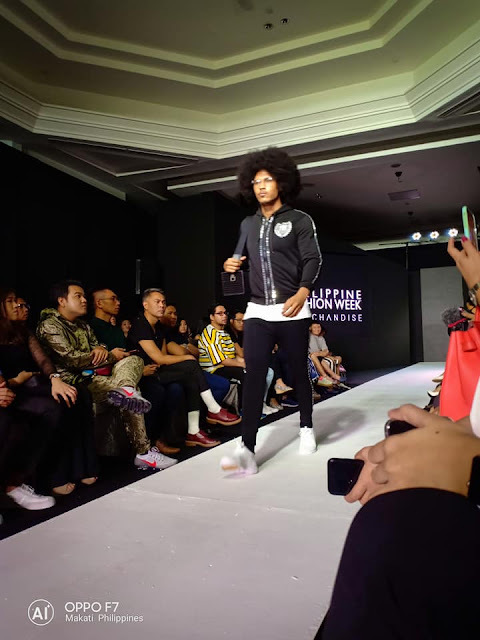 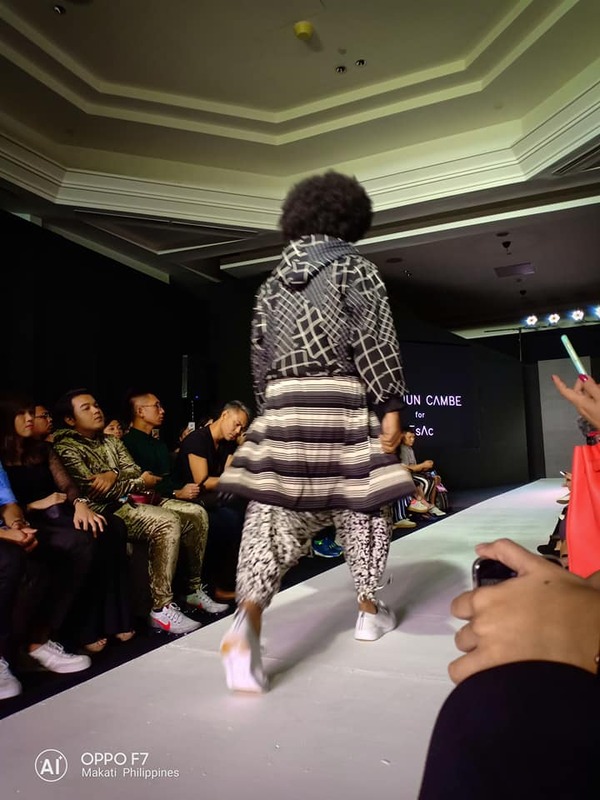 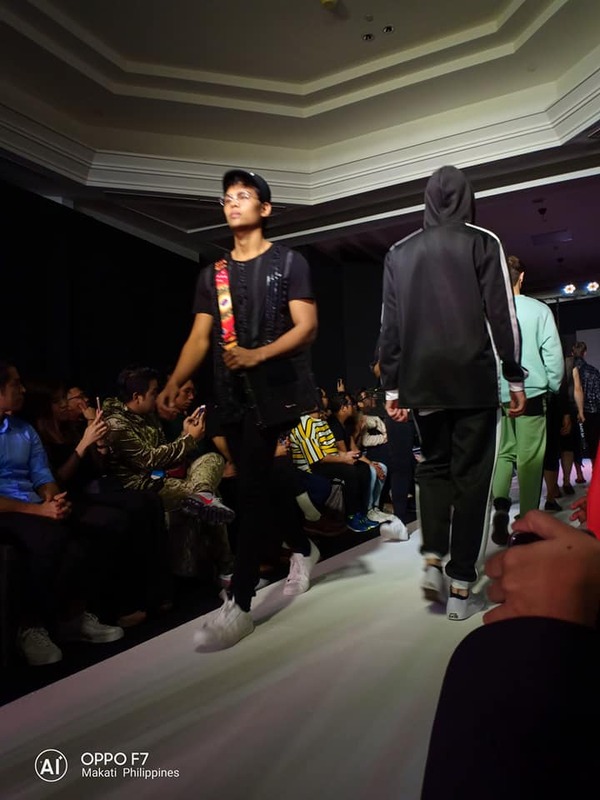 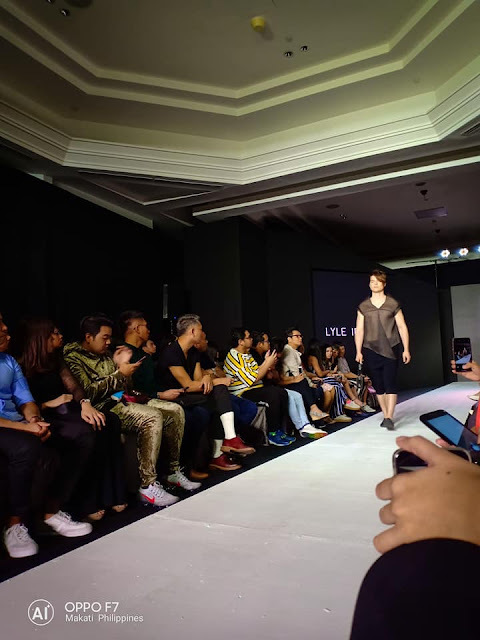 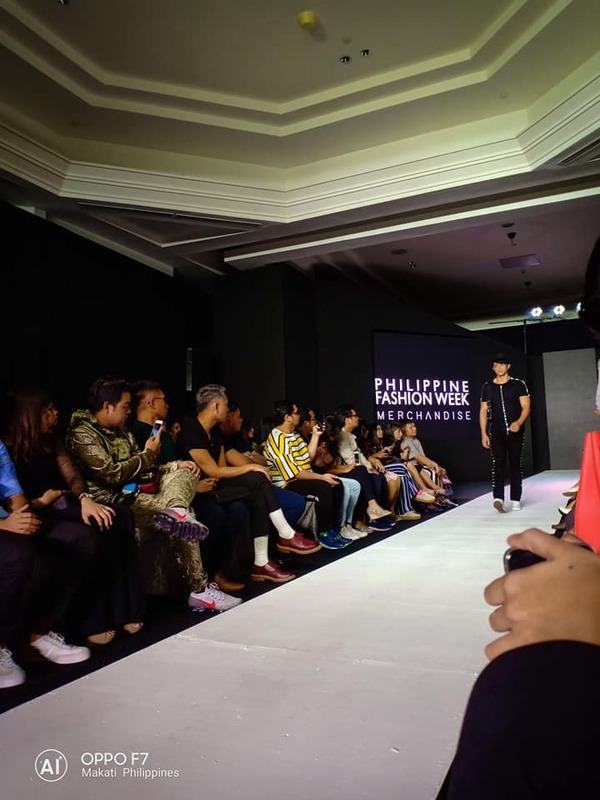 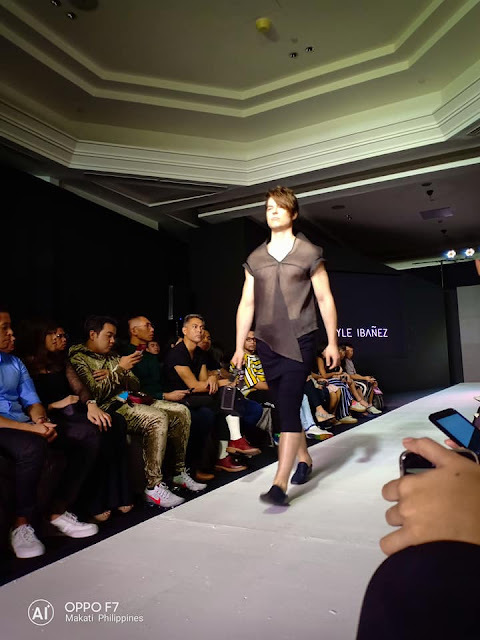 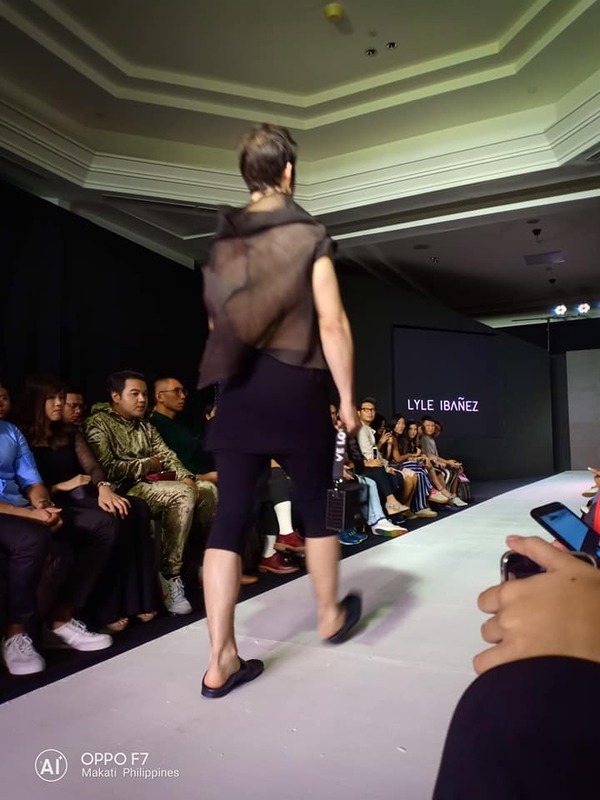 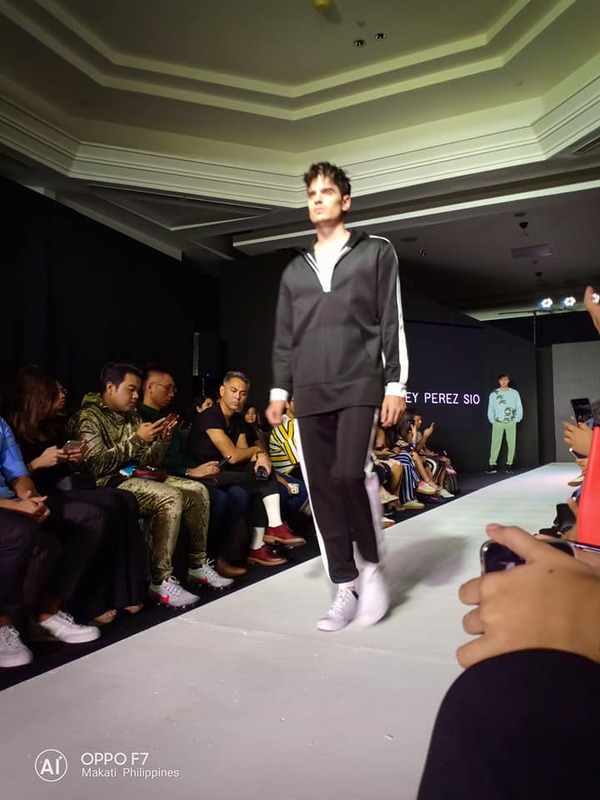 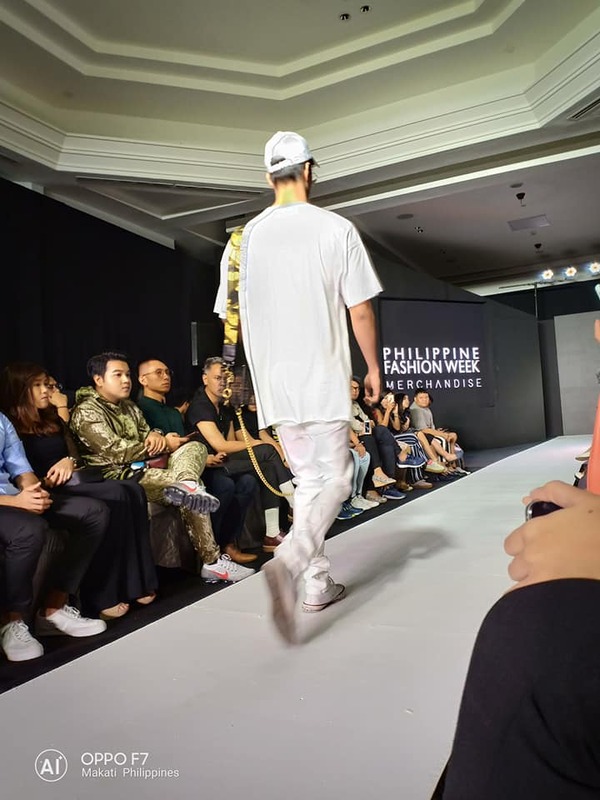 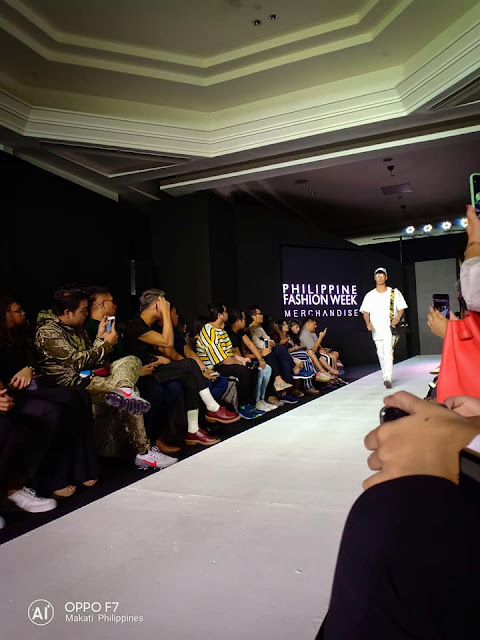 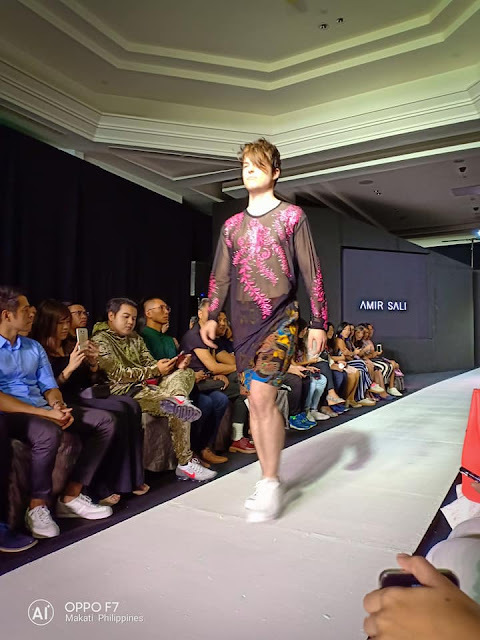 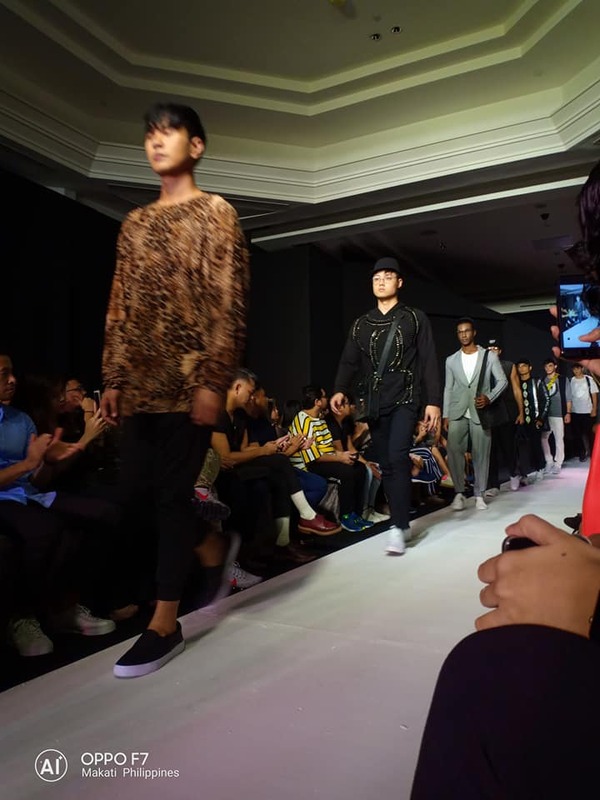 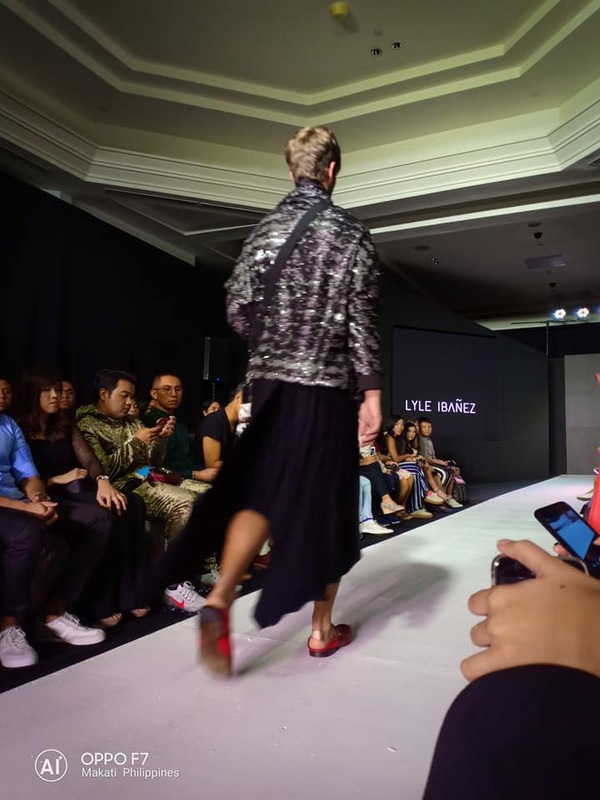 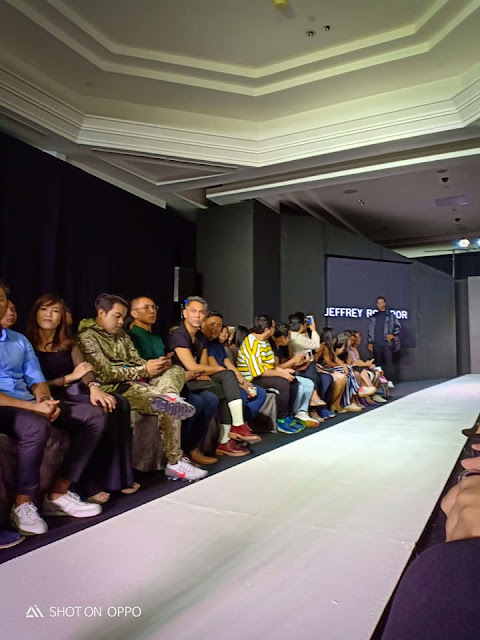 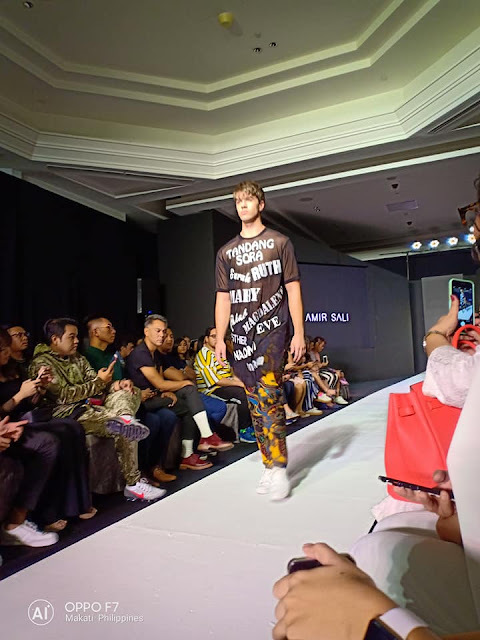 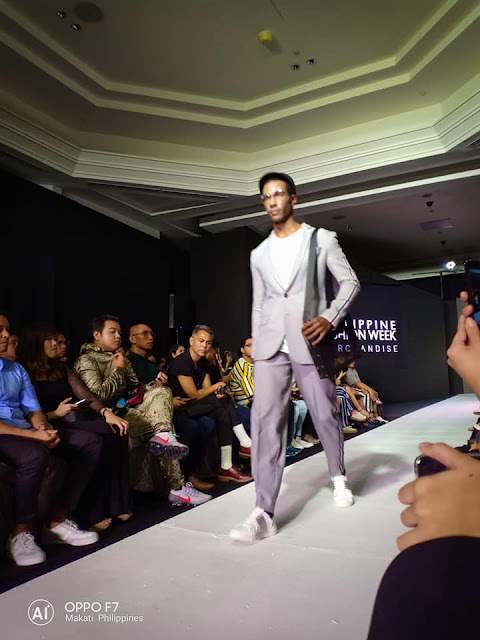 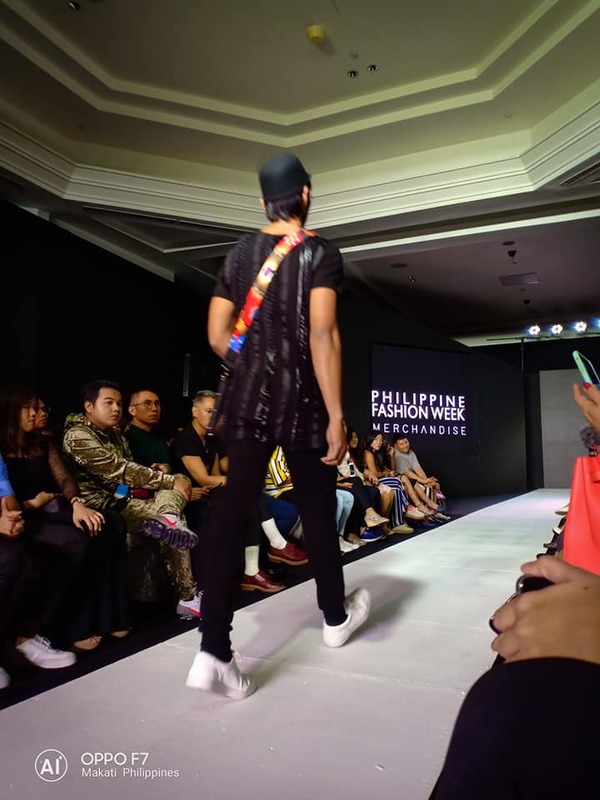 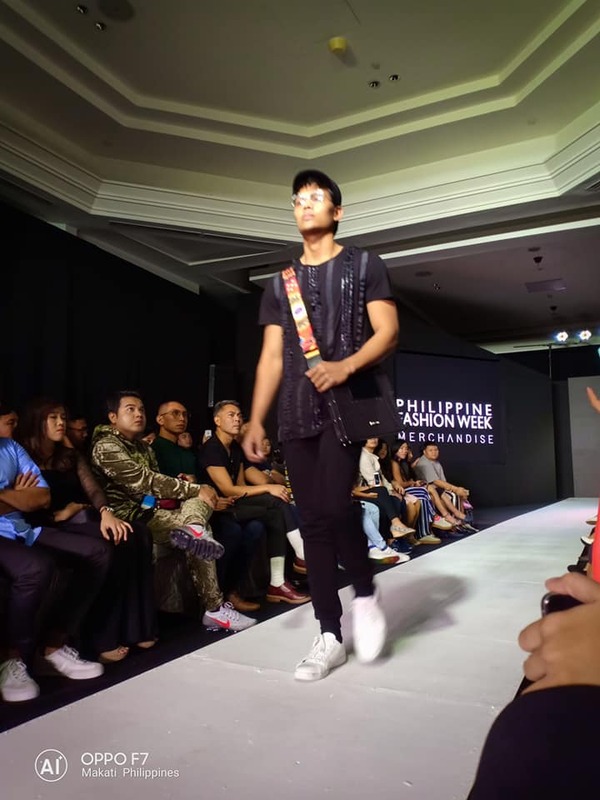 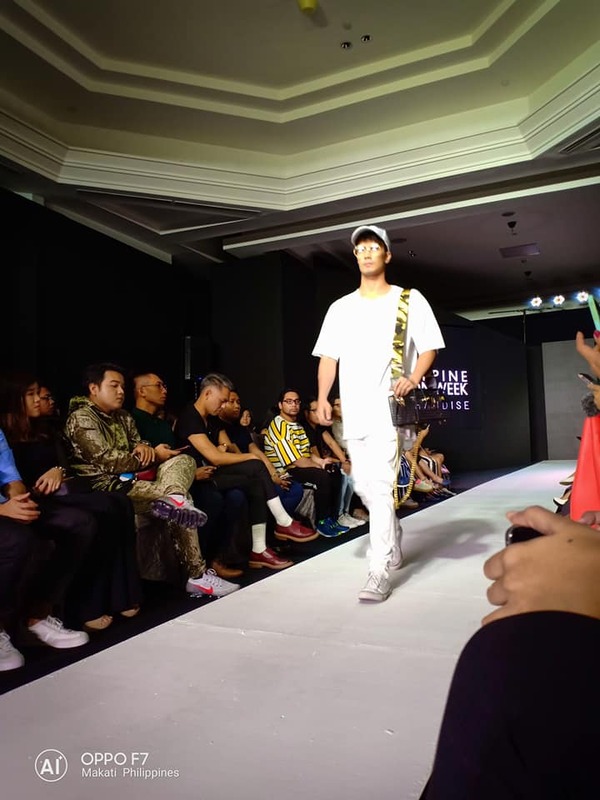 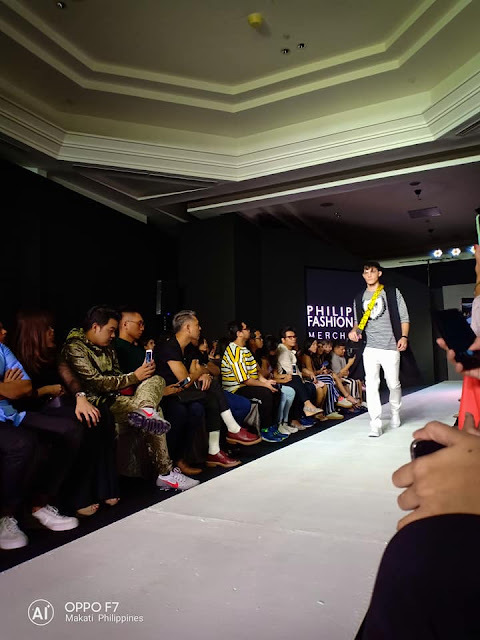 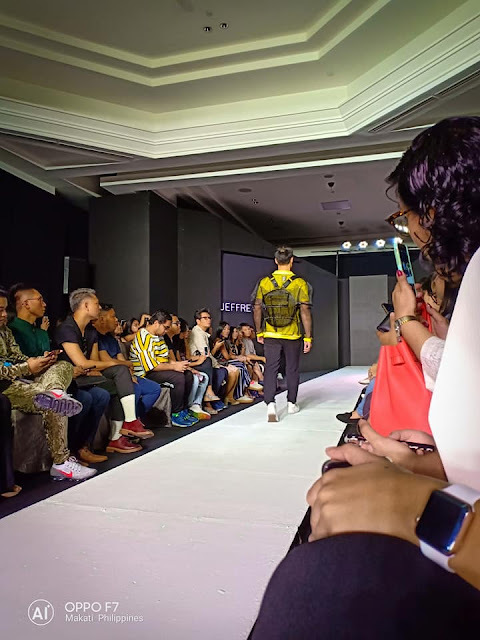 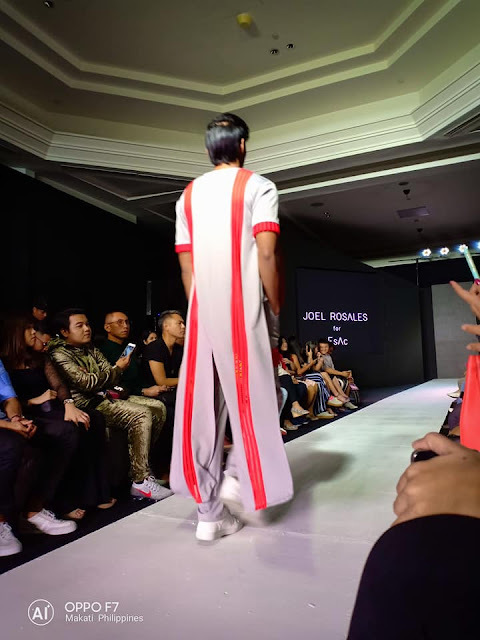 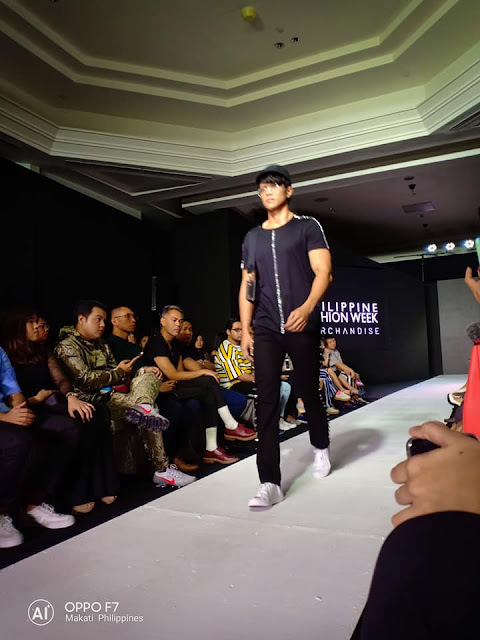 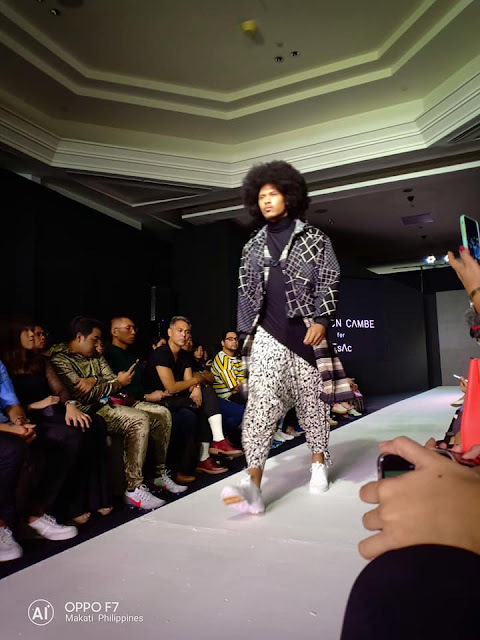 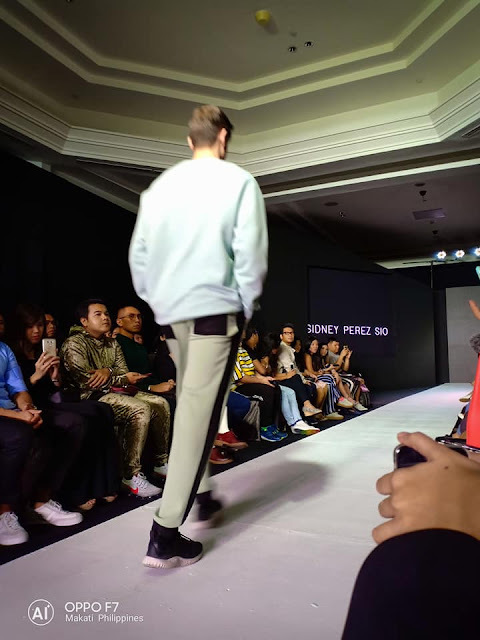 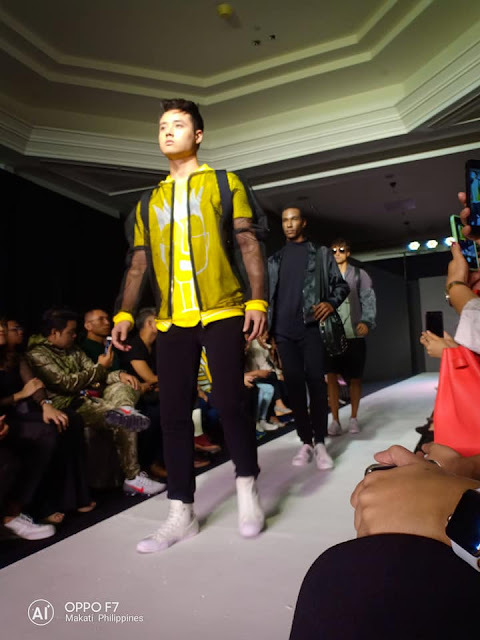 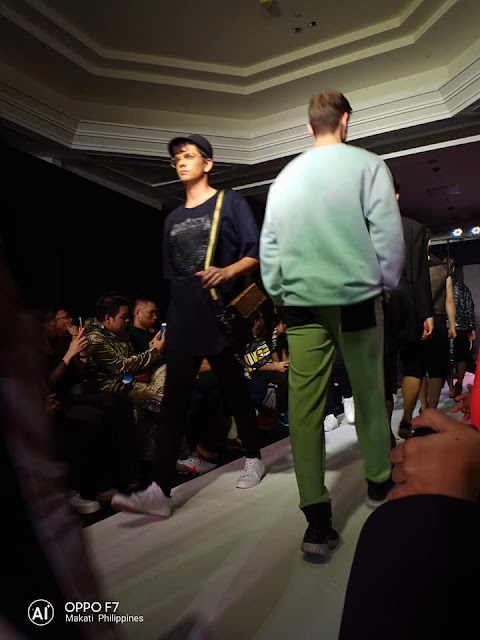 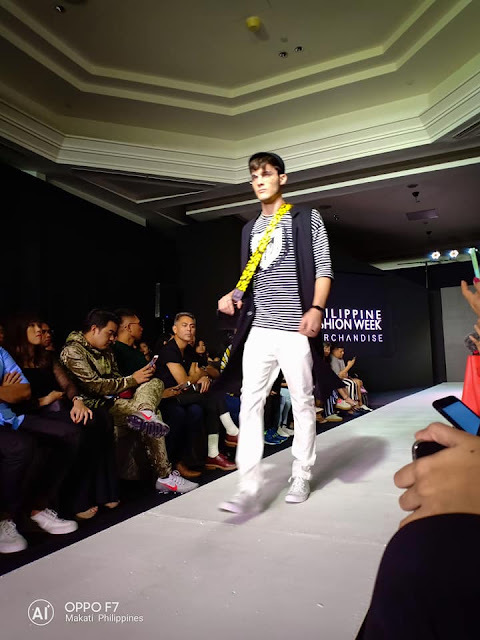 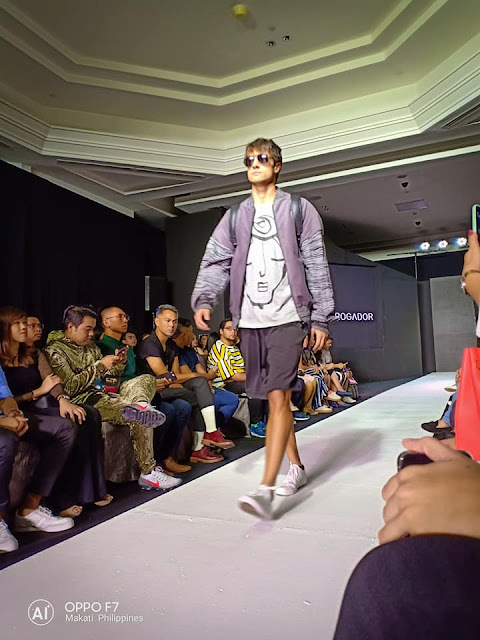 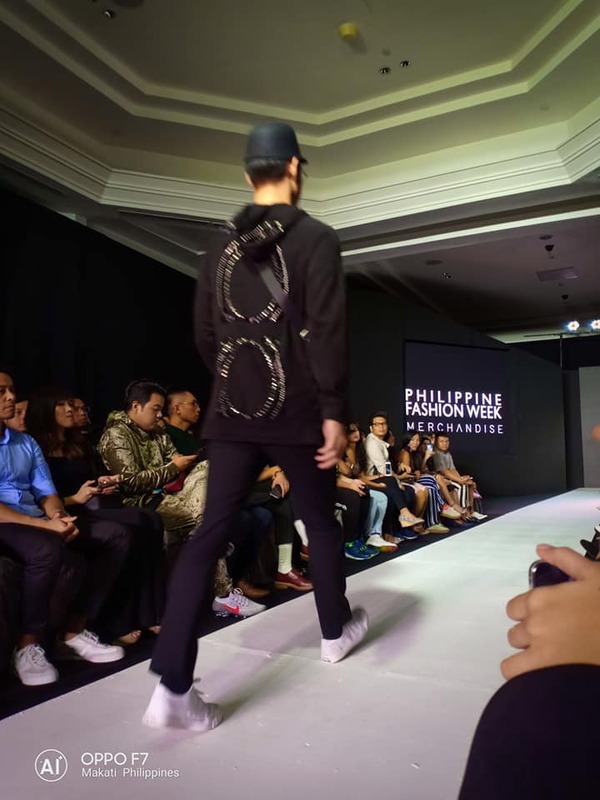 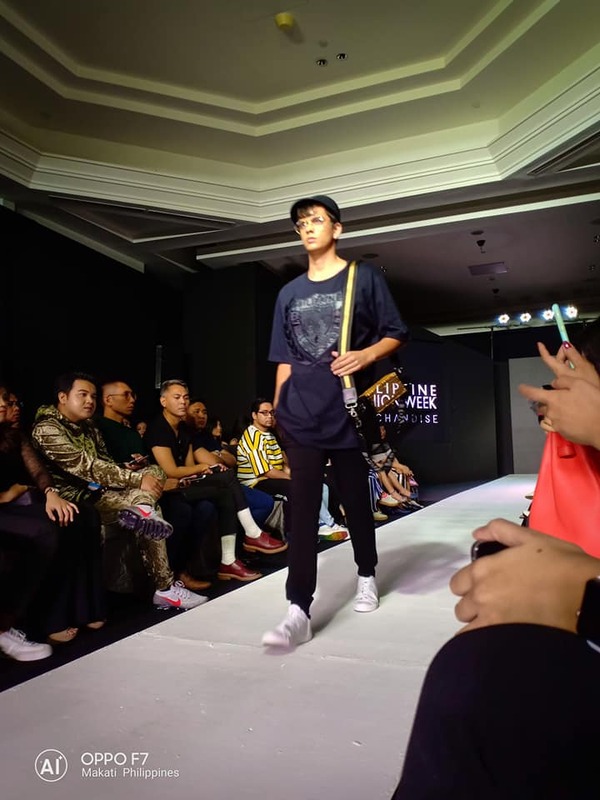 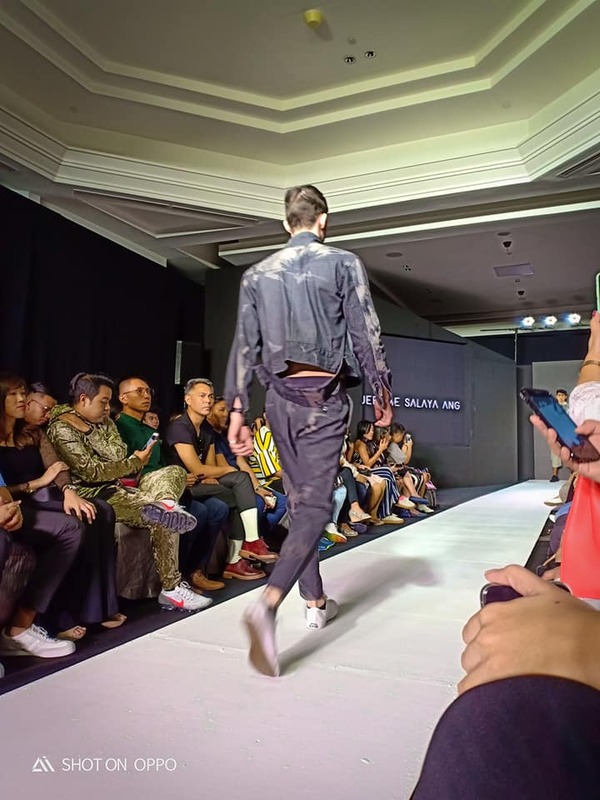 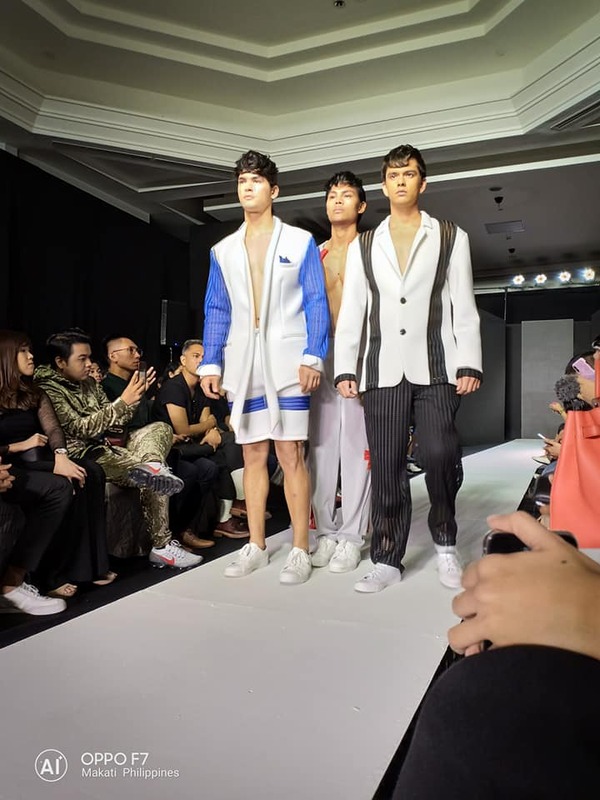 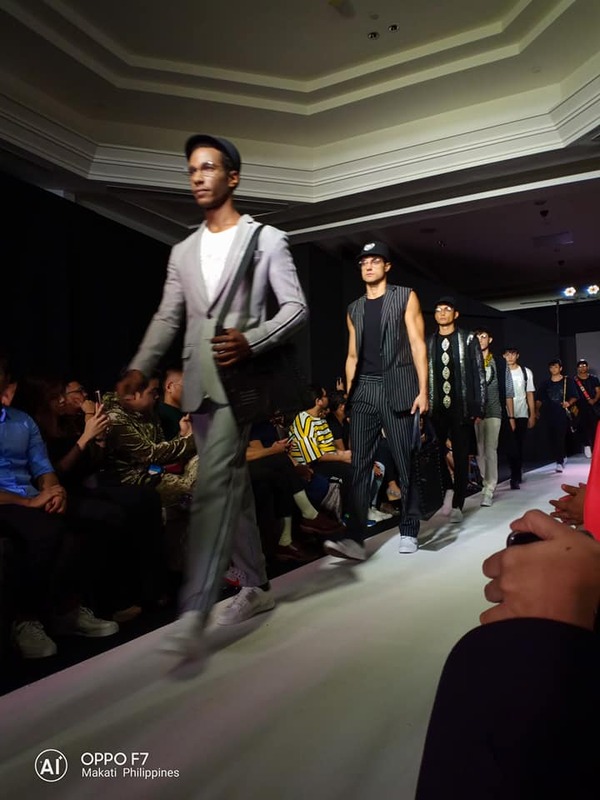 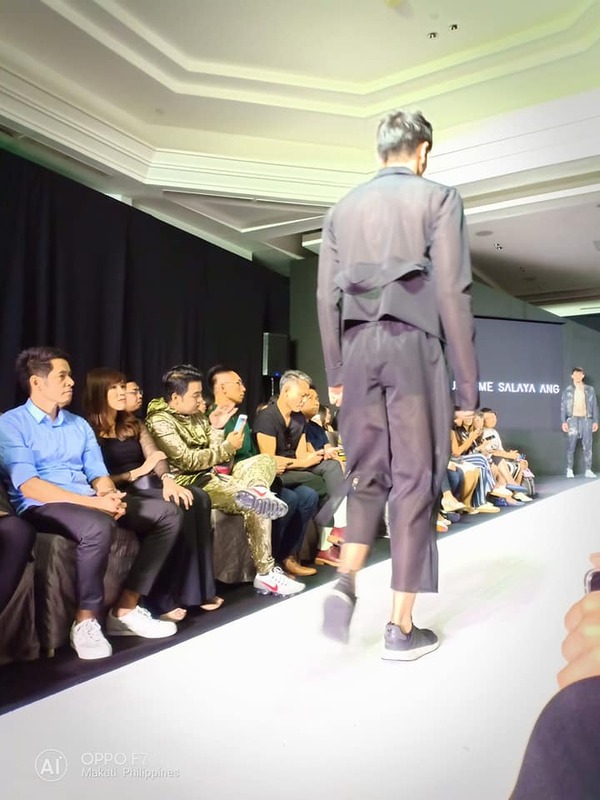 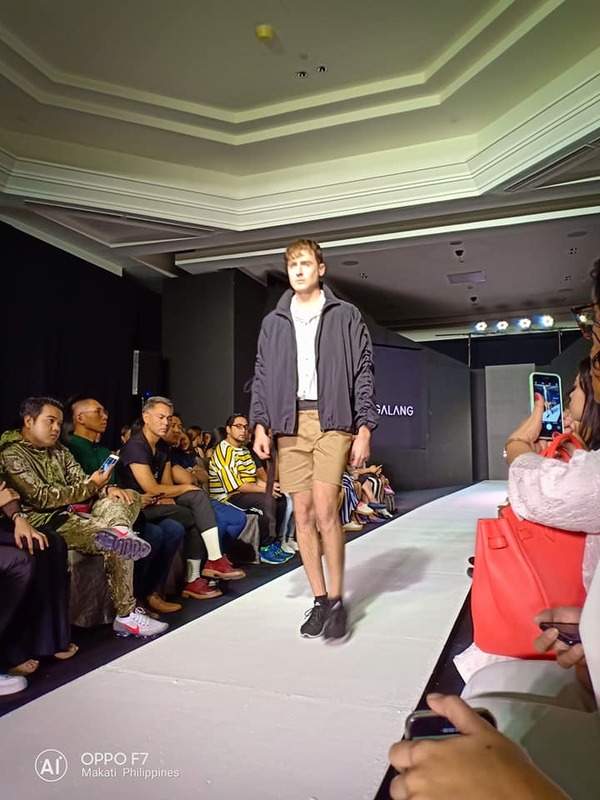 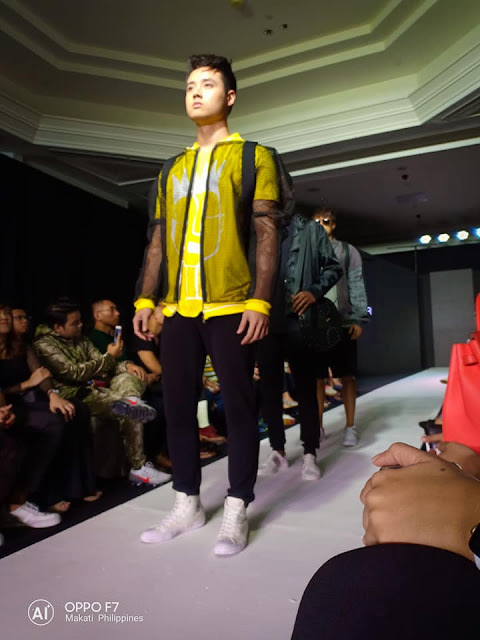 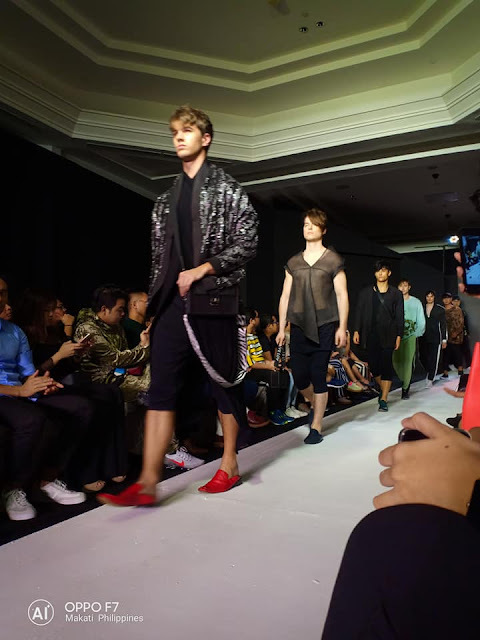 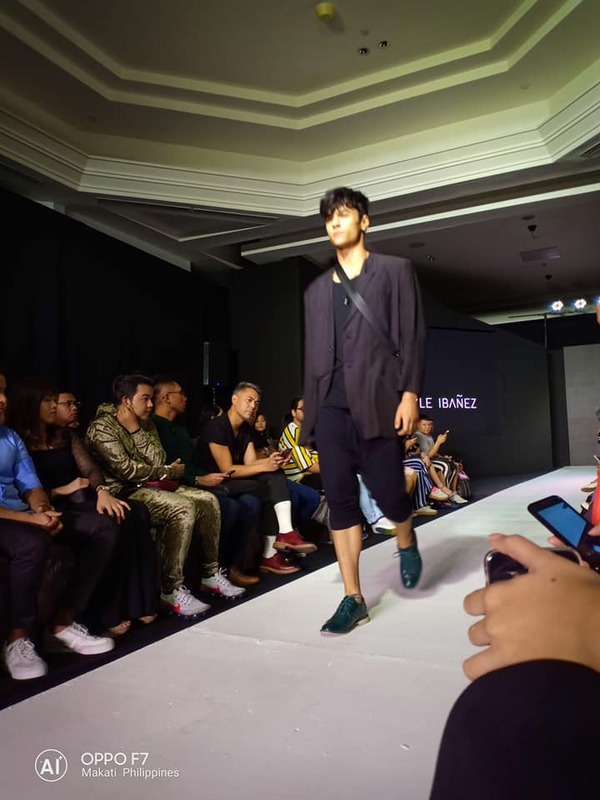 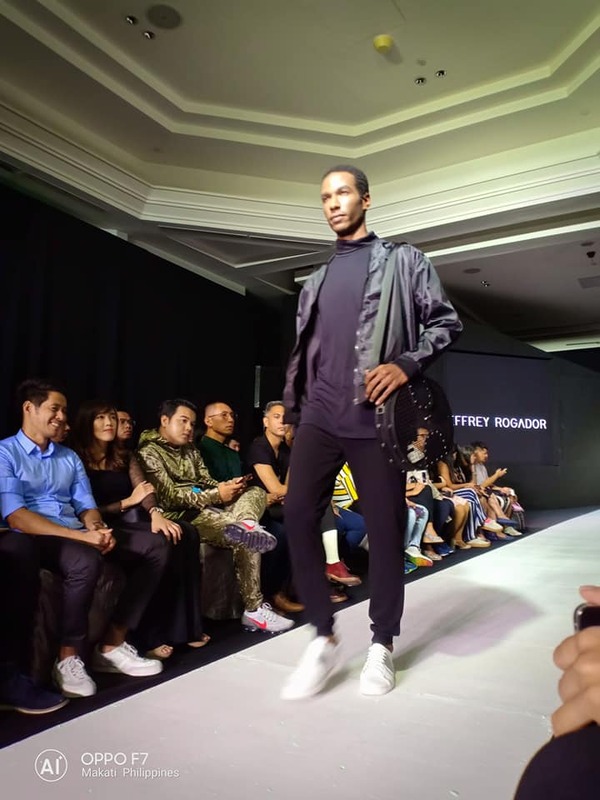 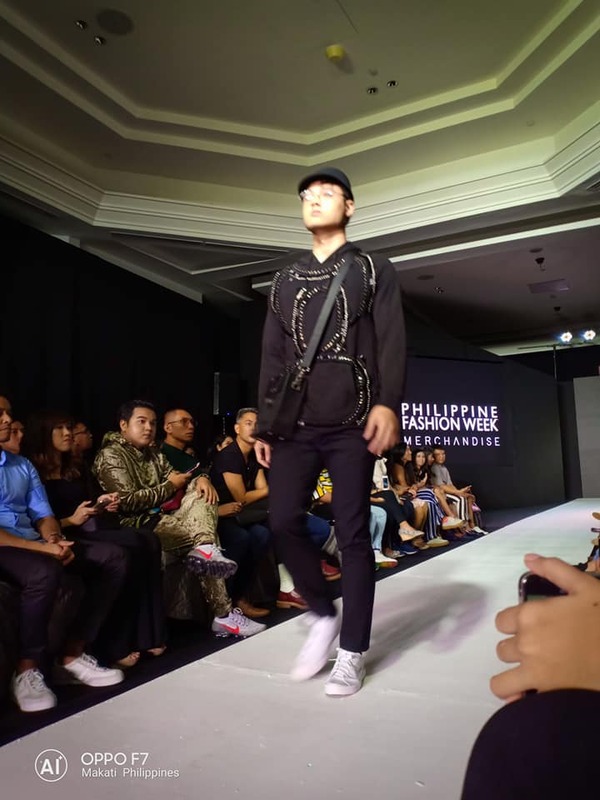 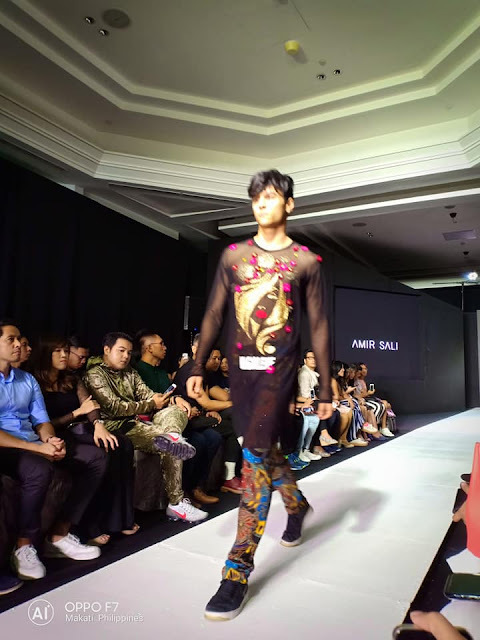 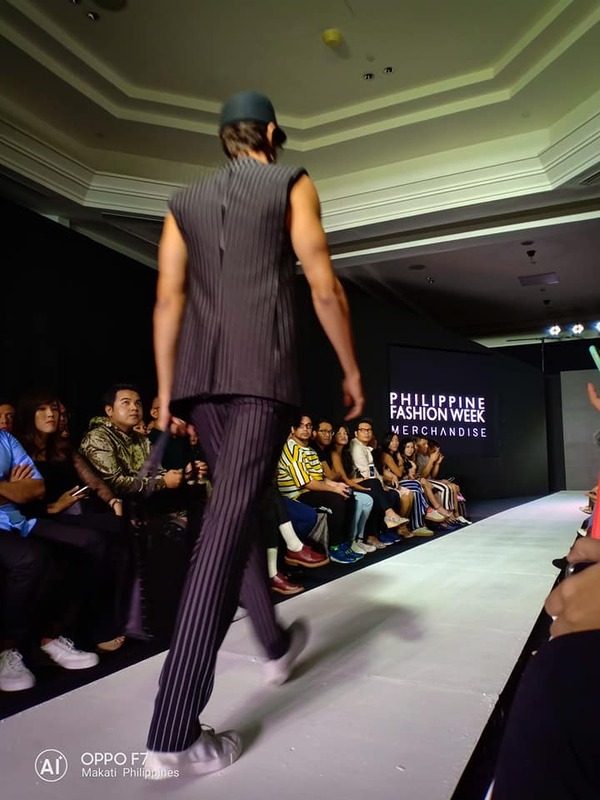 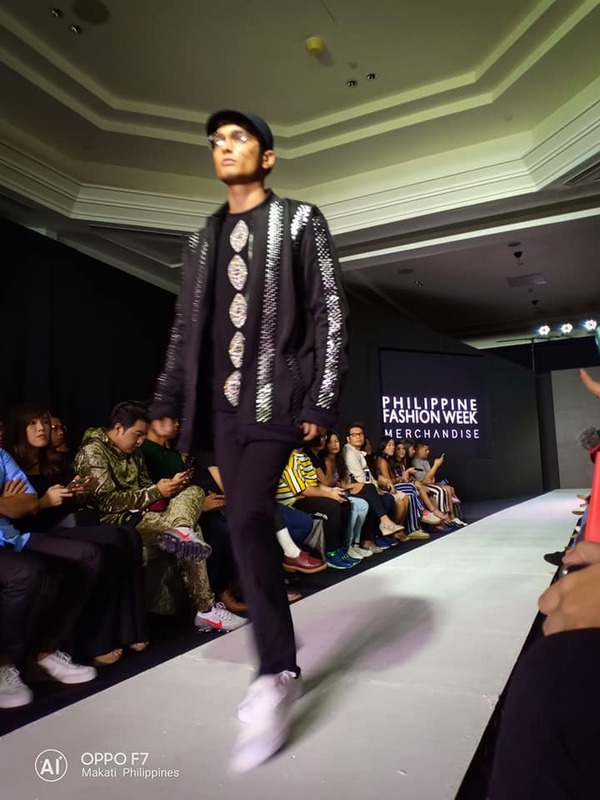 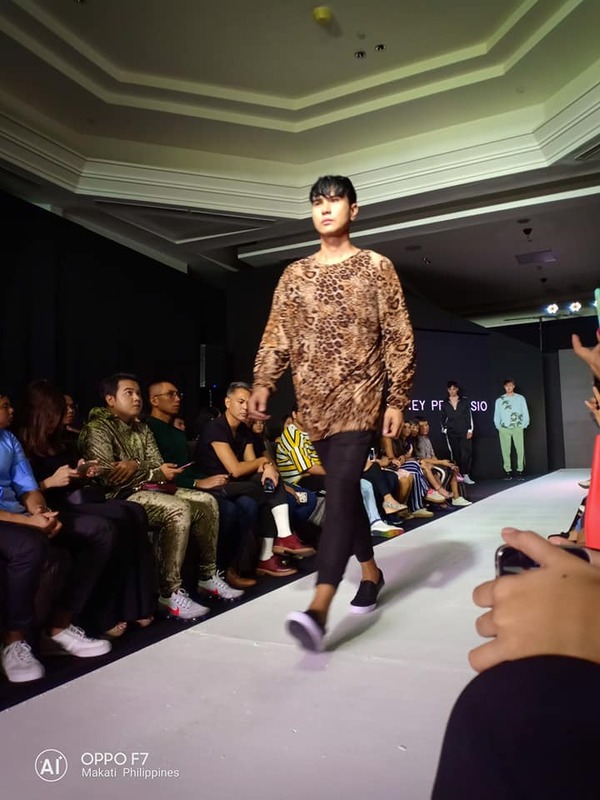 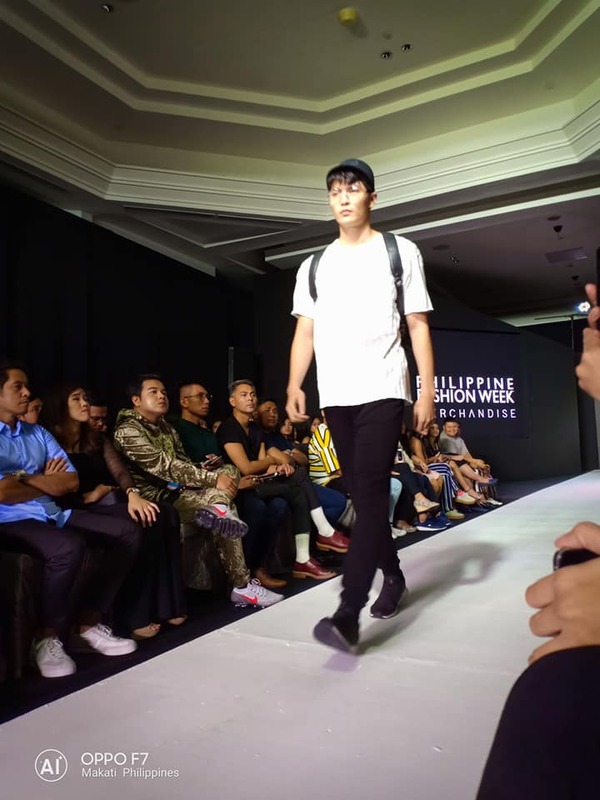 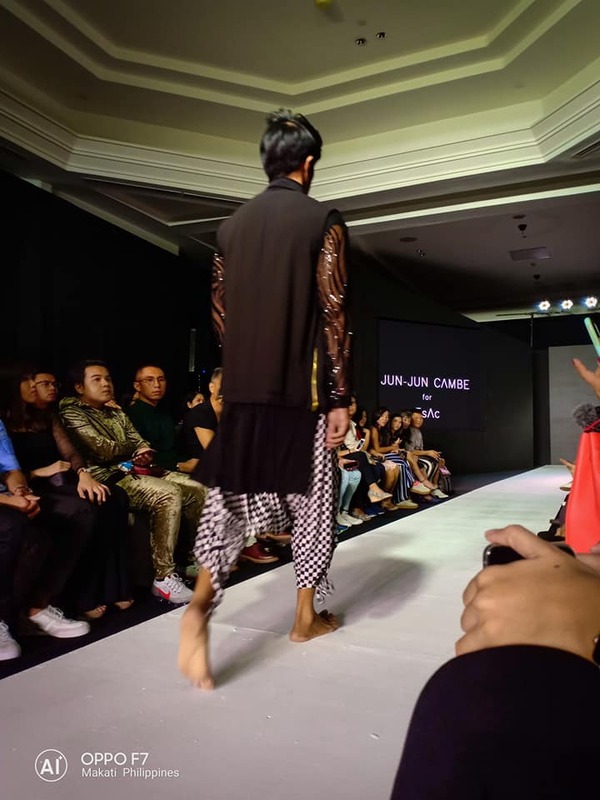 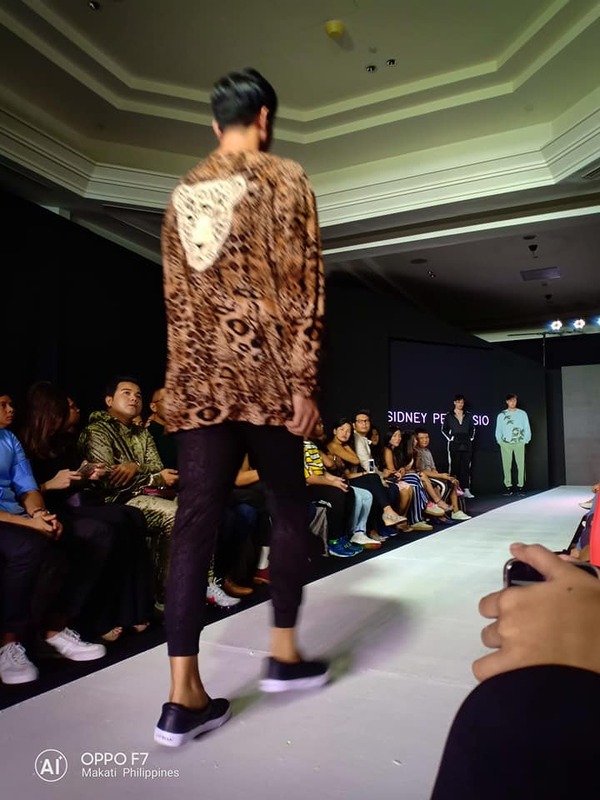 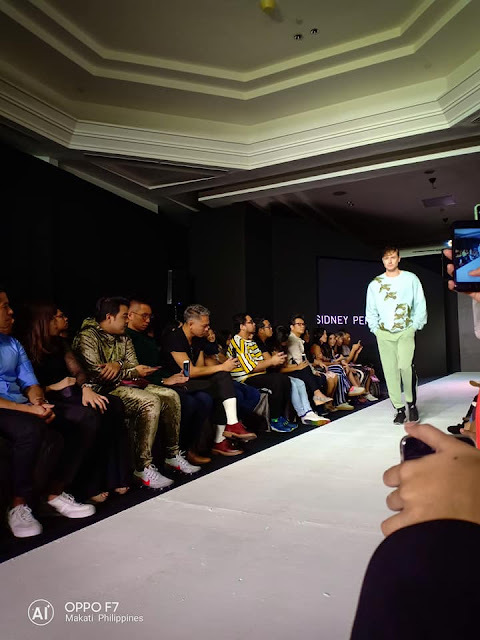 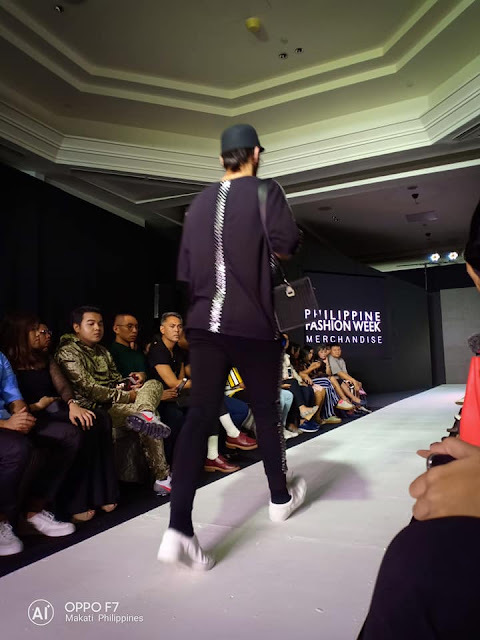 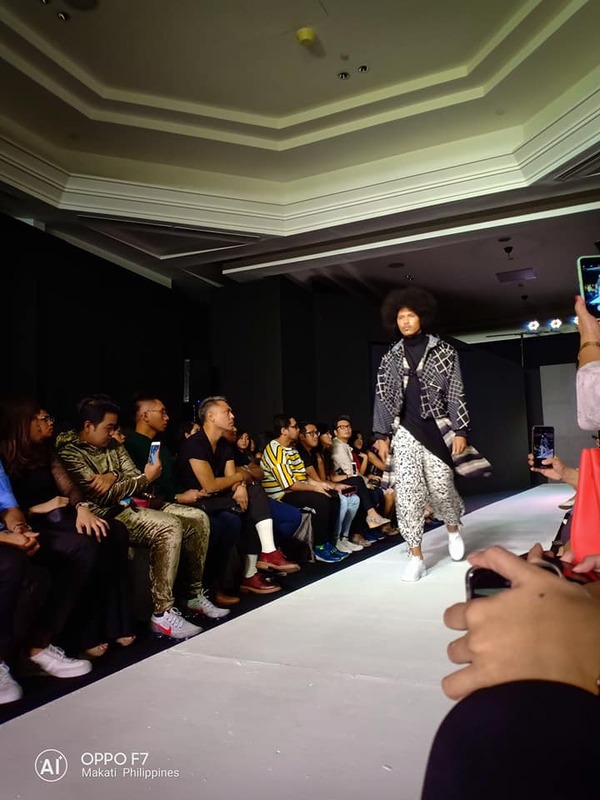 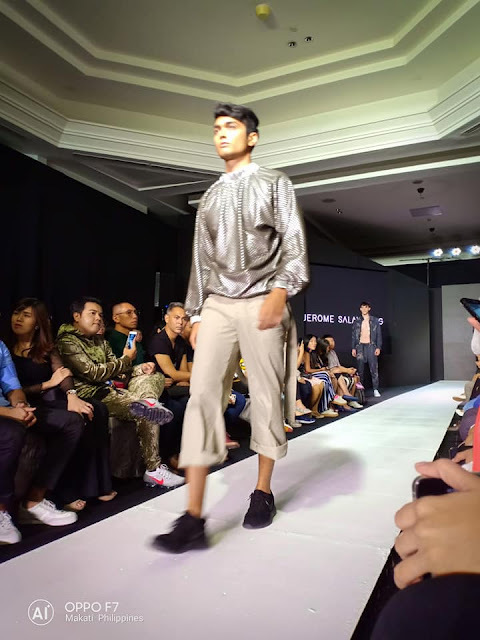 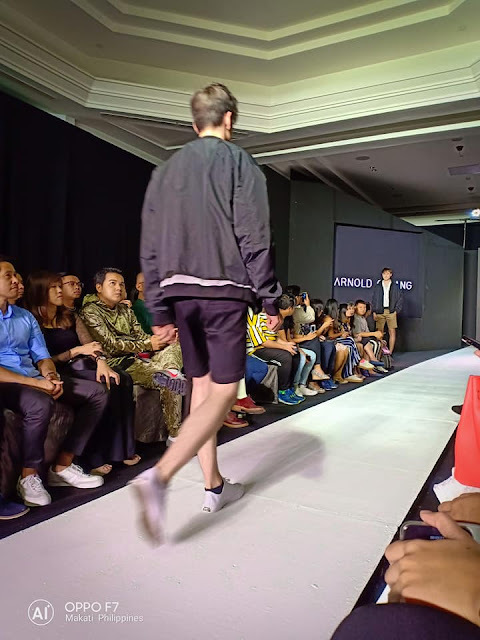 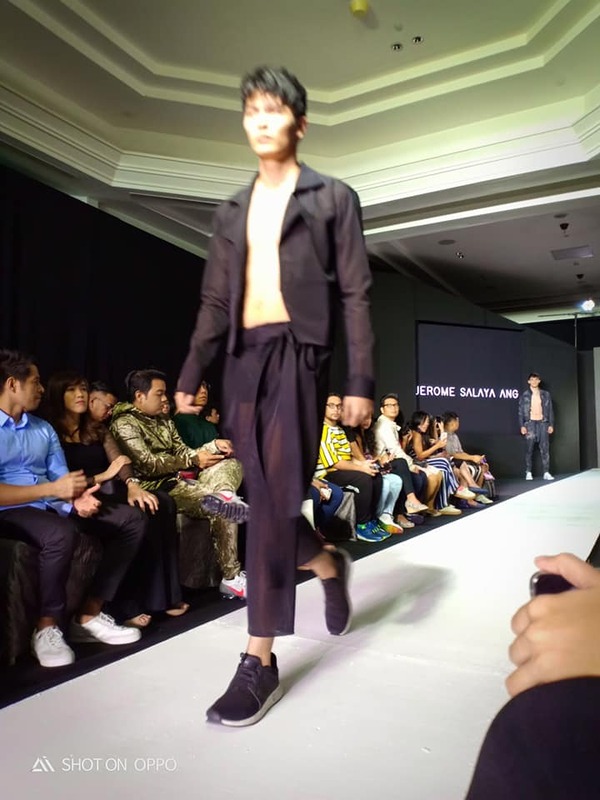 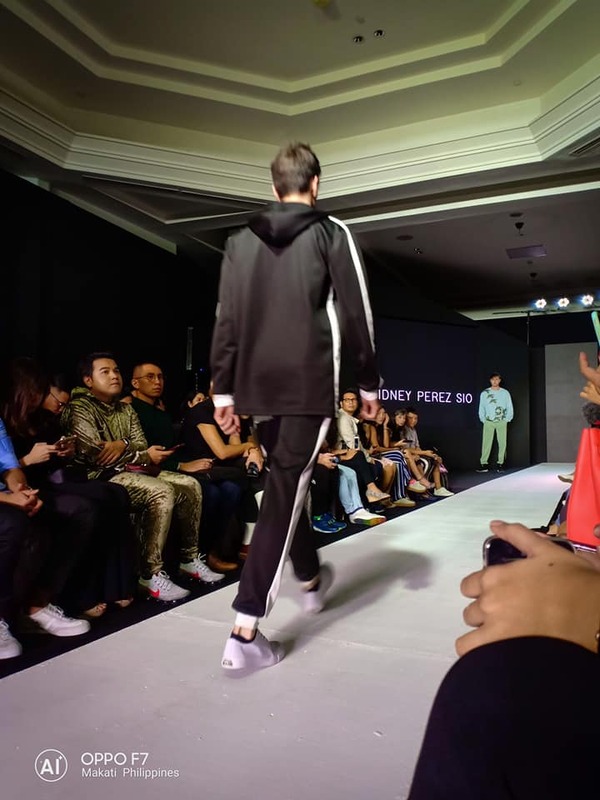 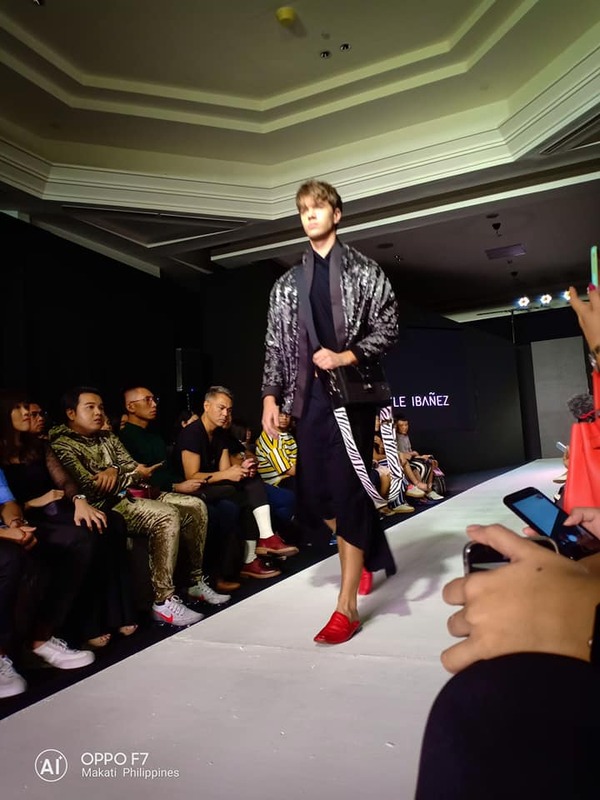 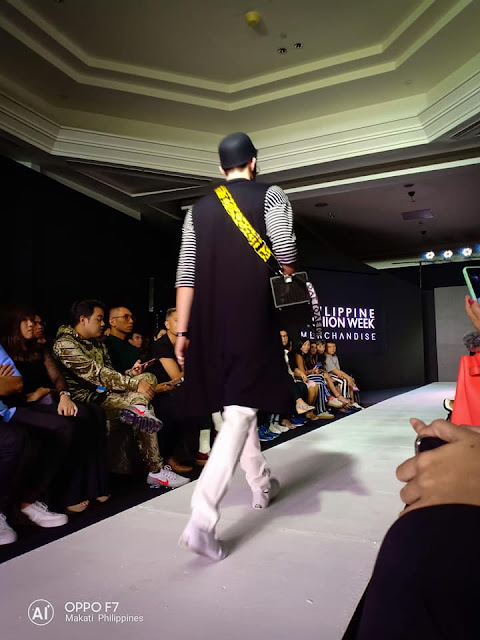 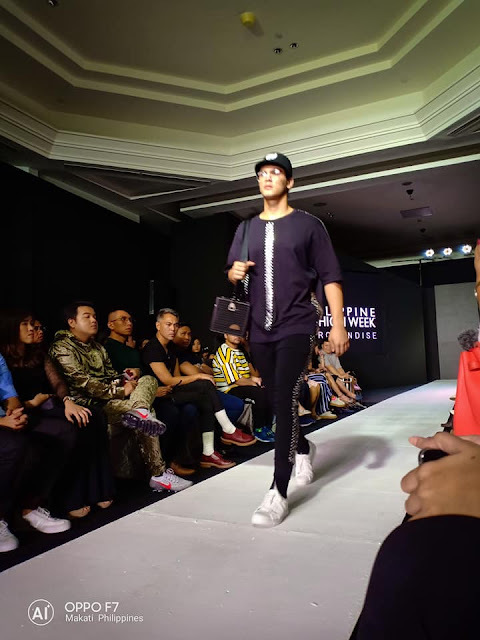 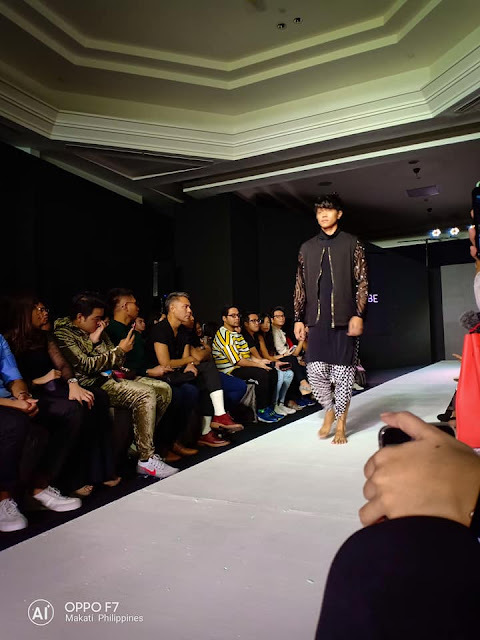 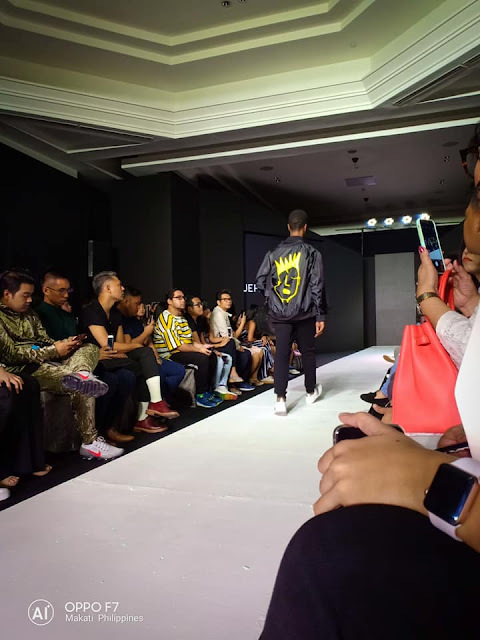 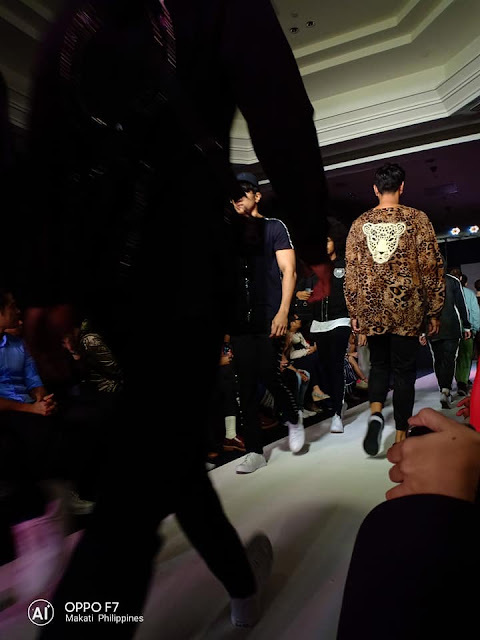 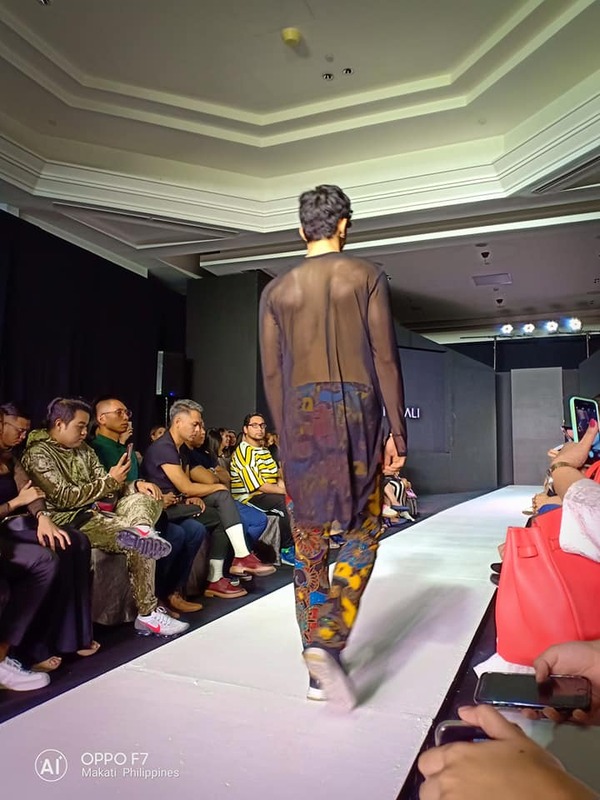 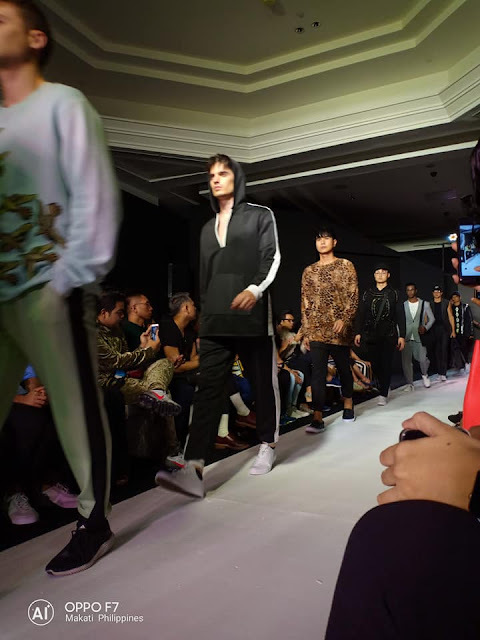 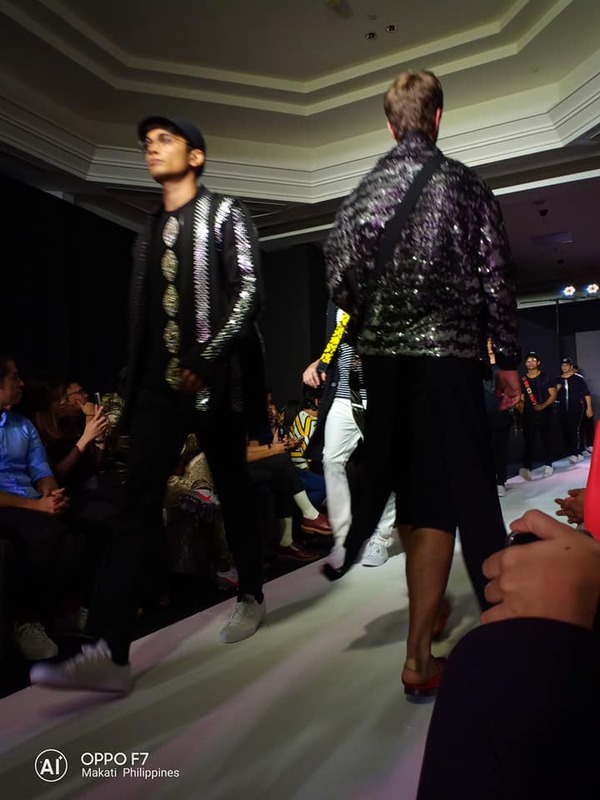 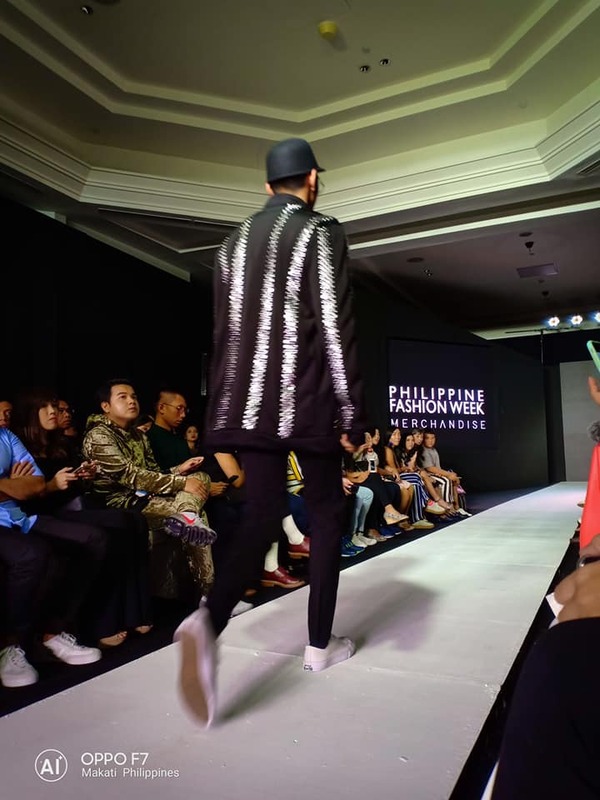 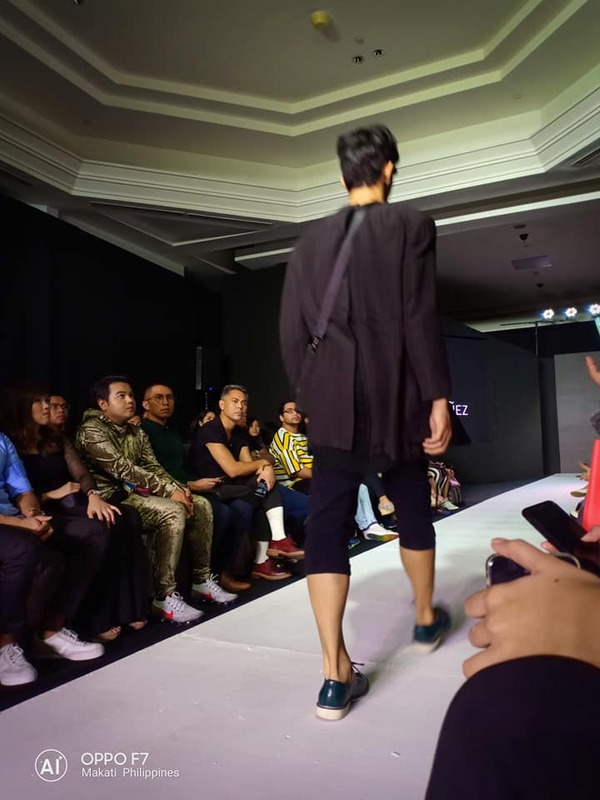 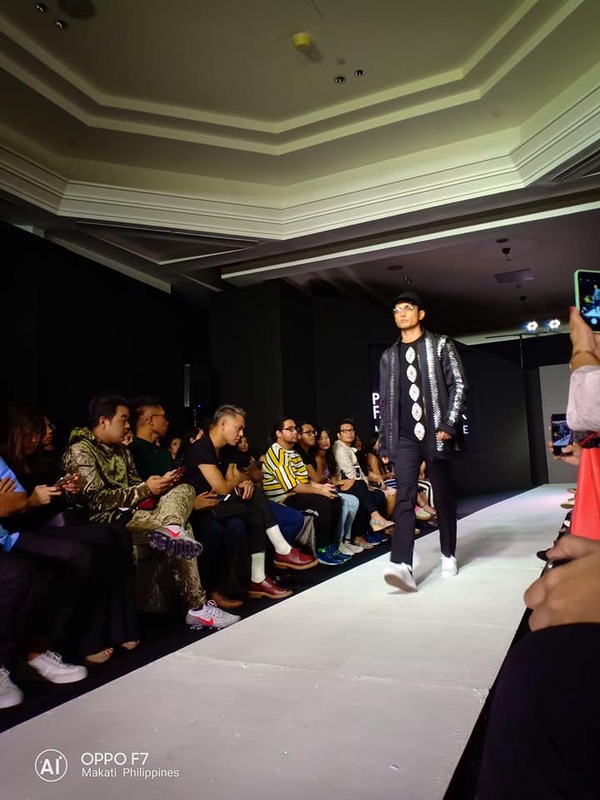 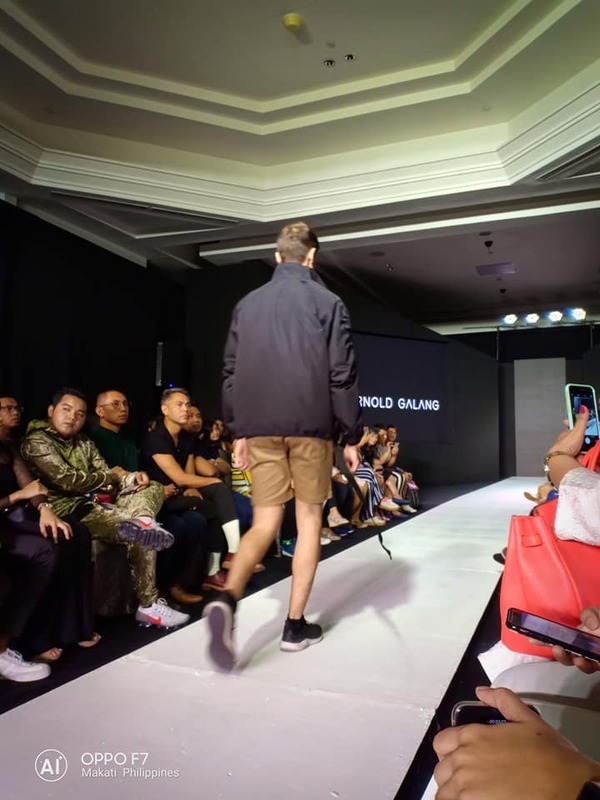 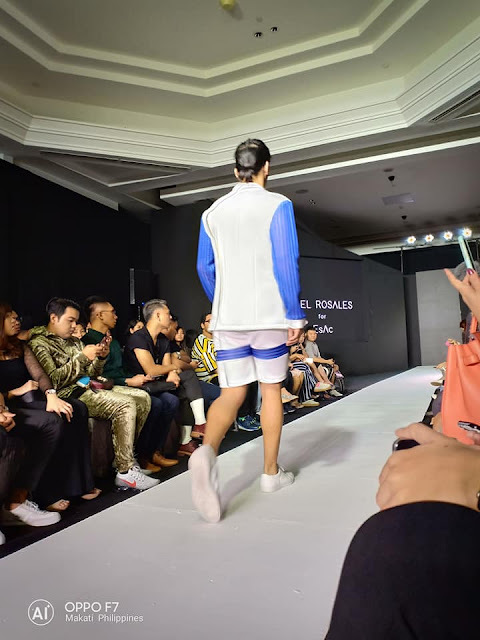 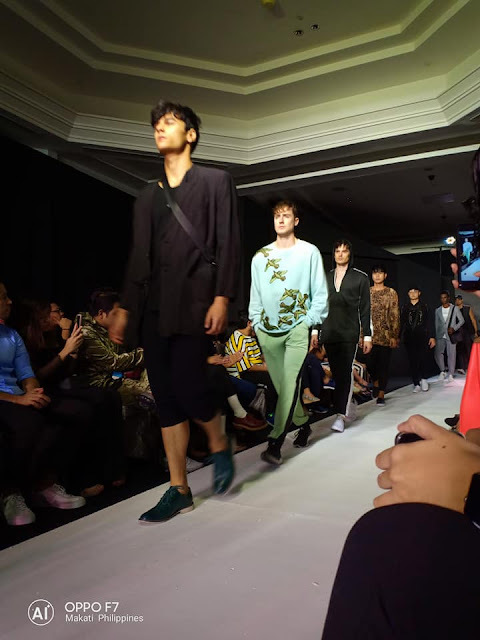 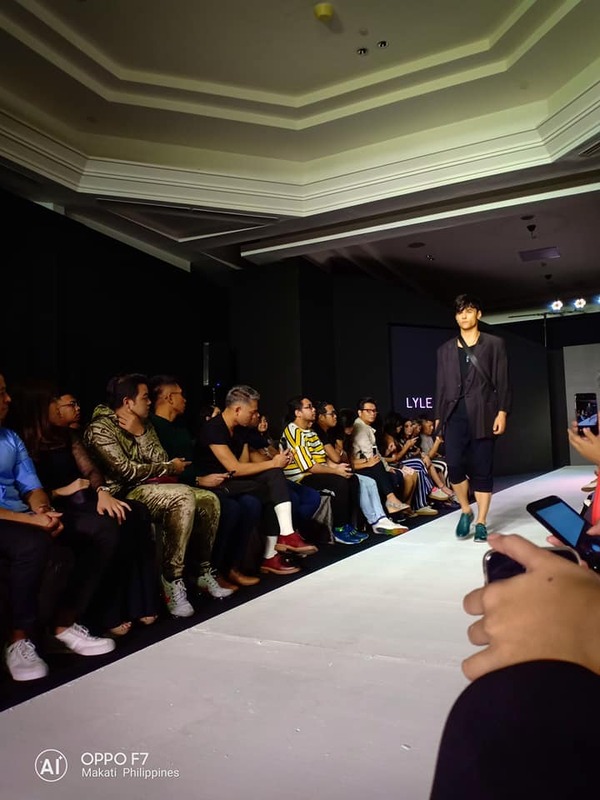 The MENSWEAR Collection was pretty much a combination of the best of the best fashion houses in Manila who make menswear available for those who want designer clothes, that would best represent the Filipino ingenuity. 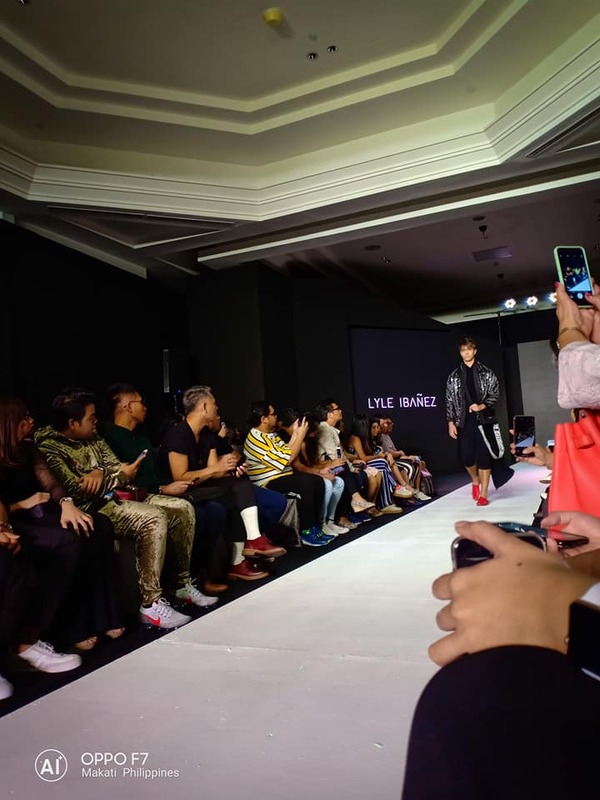 These are only phone shots that I did with the Oppo F7, the brand's flagship phone. 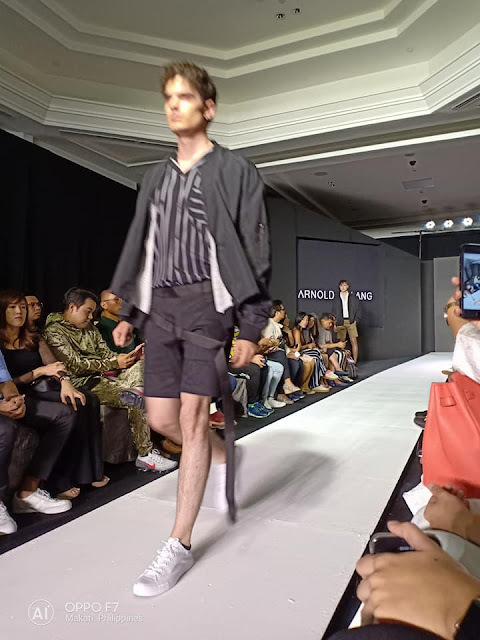 Aside from the lowlight condition, the models actually walk fast so I did expect a little blur here and there, but so far the phone has performed quite well under these conditions. 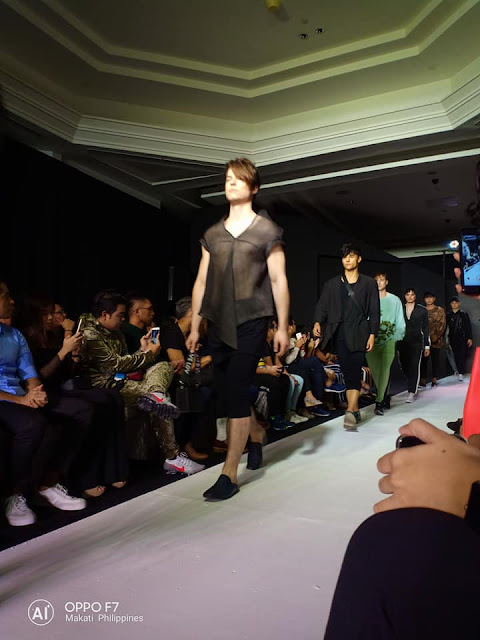 I'll be putting out some DSLR shots of the other shows in a bit. 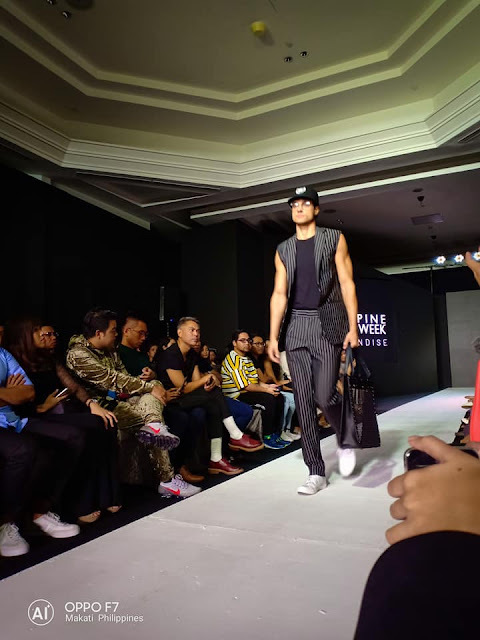 For now, enjoy these shots of the Philippine Fashion Week Holiday 2018 MENSWEAR! I like these shirts with screaming prints! 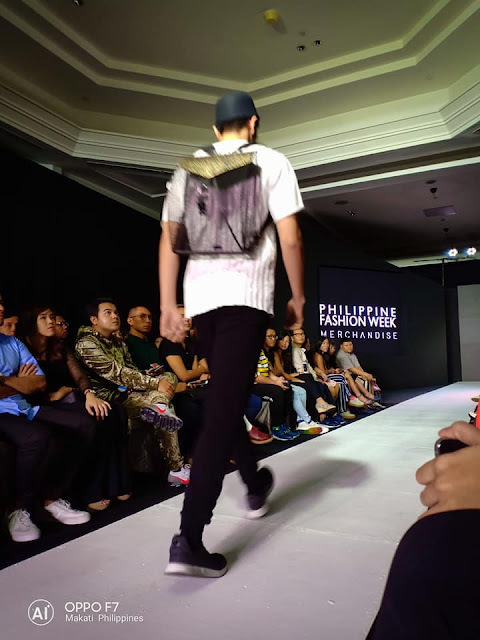 I super love this bag from Mele + Marie, especially the BAT inspired one. 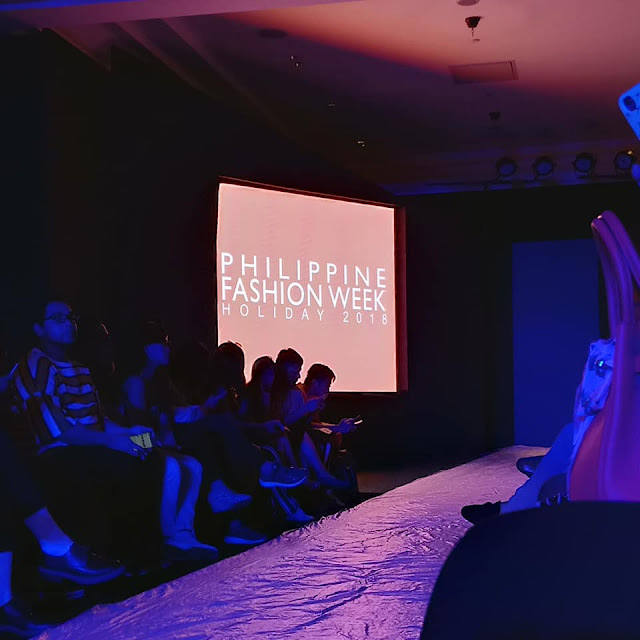 This sea turtle one comes at a close second! 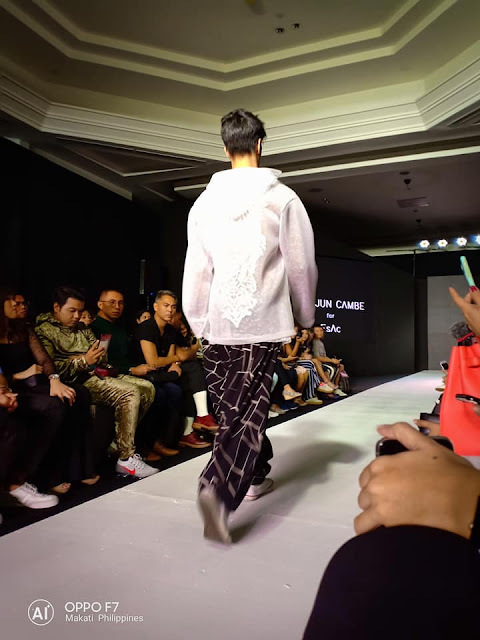 I like the fabric he used in this collection, it's like neoprene but it's all white. So far, my OPPO F7 has produced some really remarkable shots even if it's just from a phone. 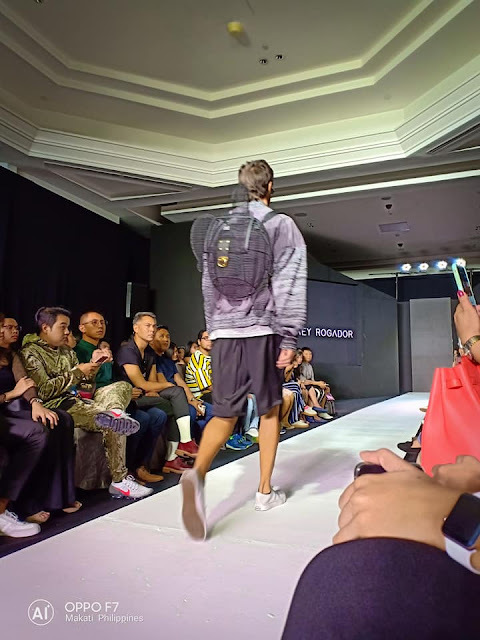 I would gladly carry one if I didn't have my DSLR. 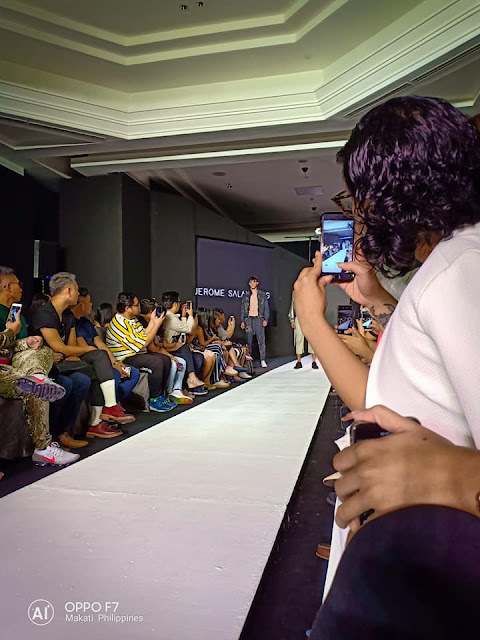 I like how it was able to still get some really good shots on the runway on such harsh conditions (lowlight, speed of the models) and still outperformed some good phones out there in the market. It also takes pretty good selfies too. 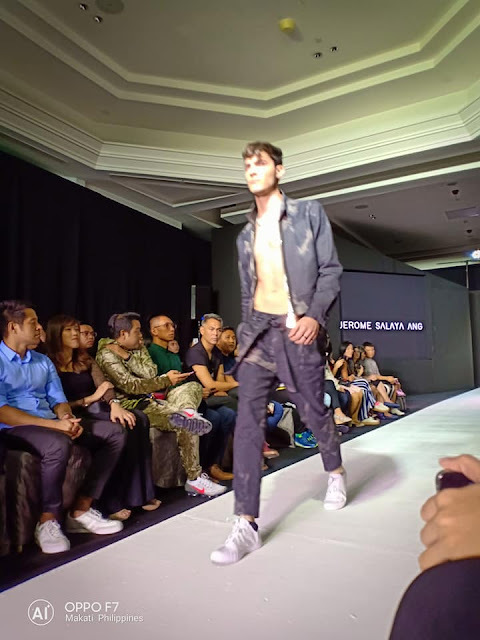 Oh by the way, these shots are all unedited. 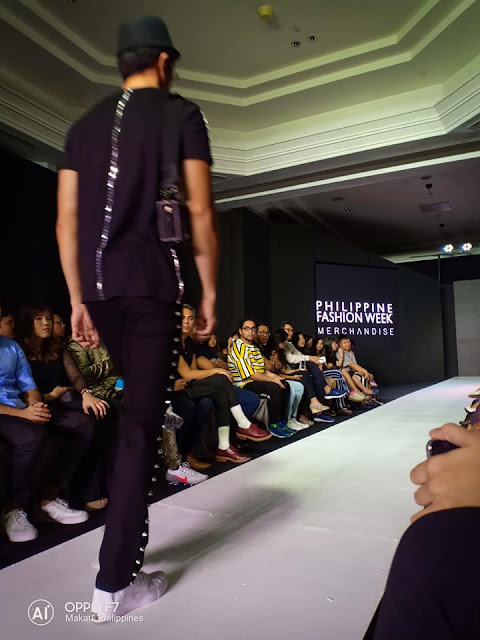 With the way Philippine fashion has become in these past few years, we deserve to be out there in the international market. 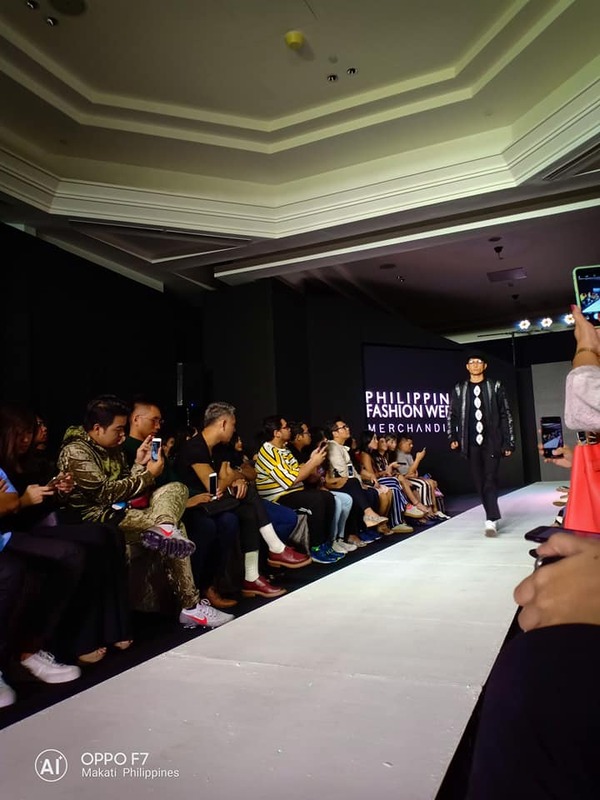 I'll tell you about another show that proved that be worthy to gamble and a little talk from the founder of PHFW himself. 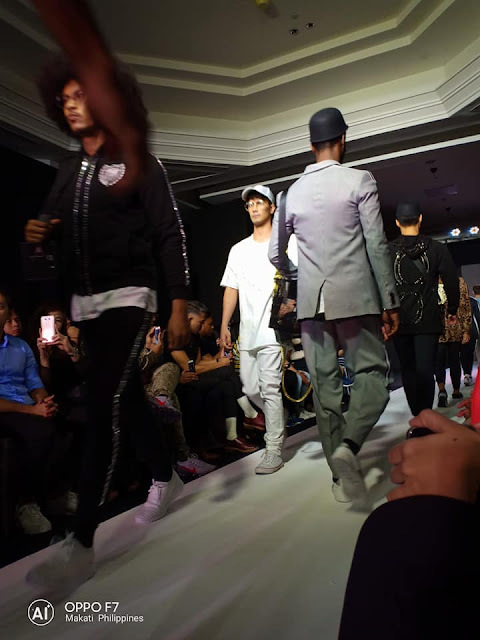 See you on the next show!